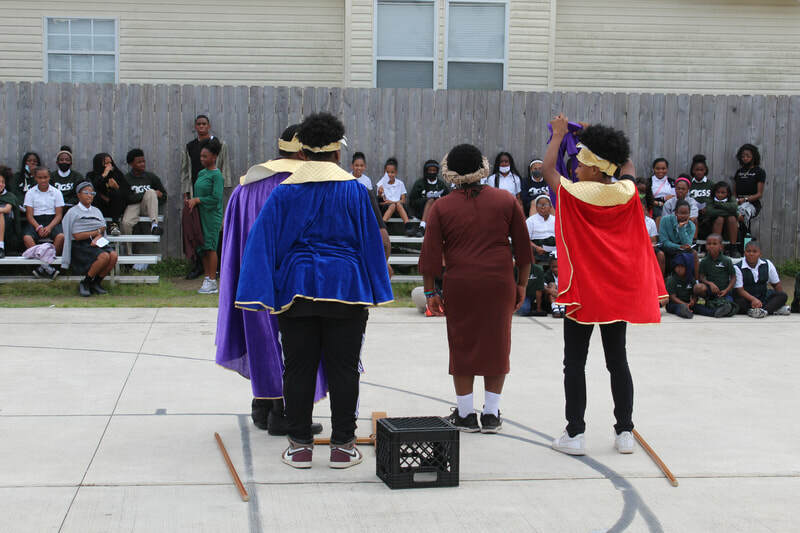 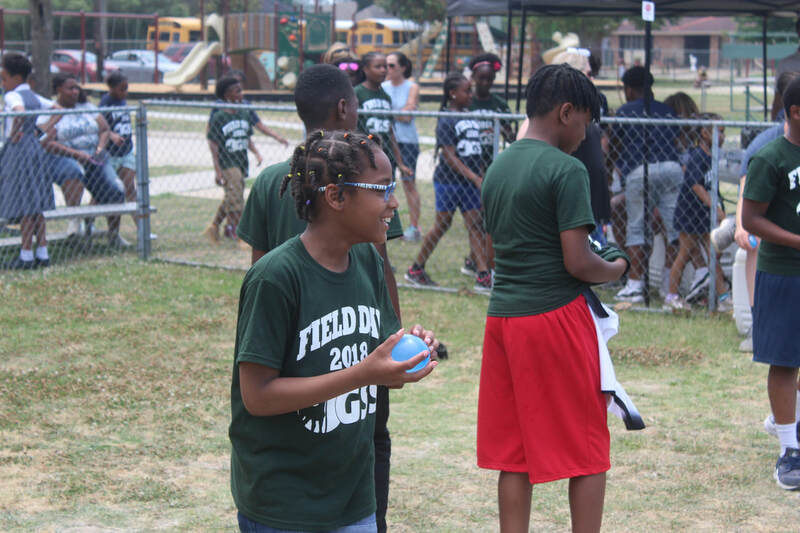 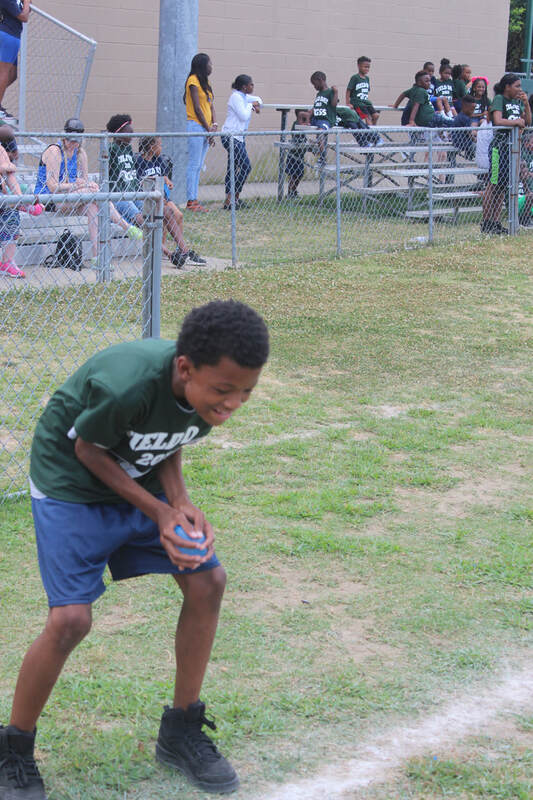 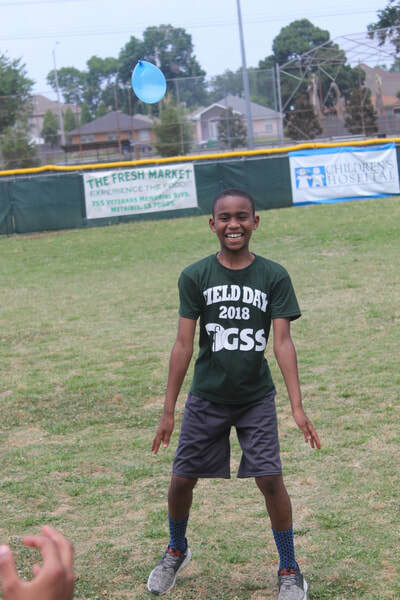 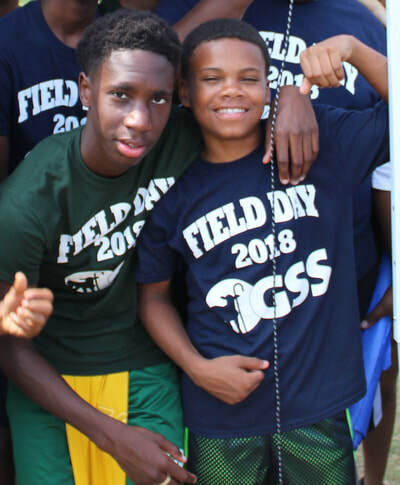 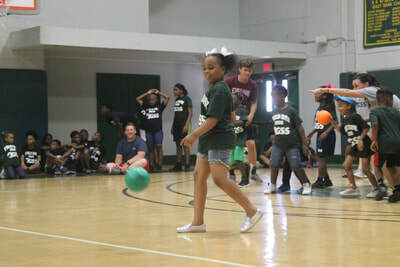 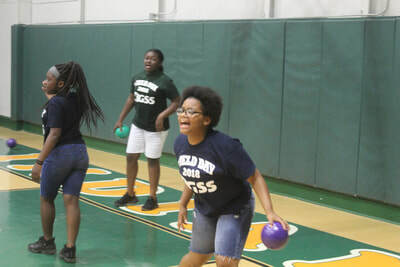 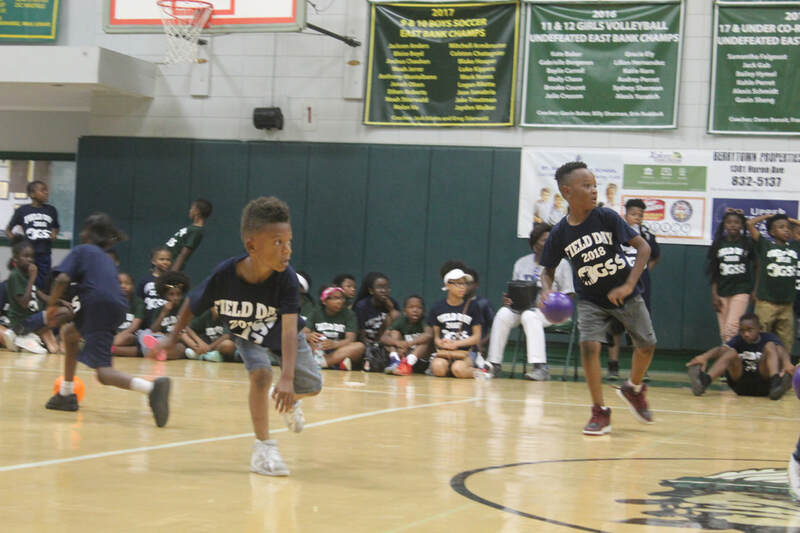 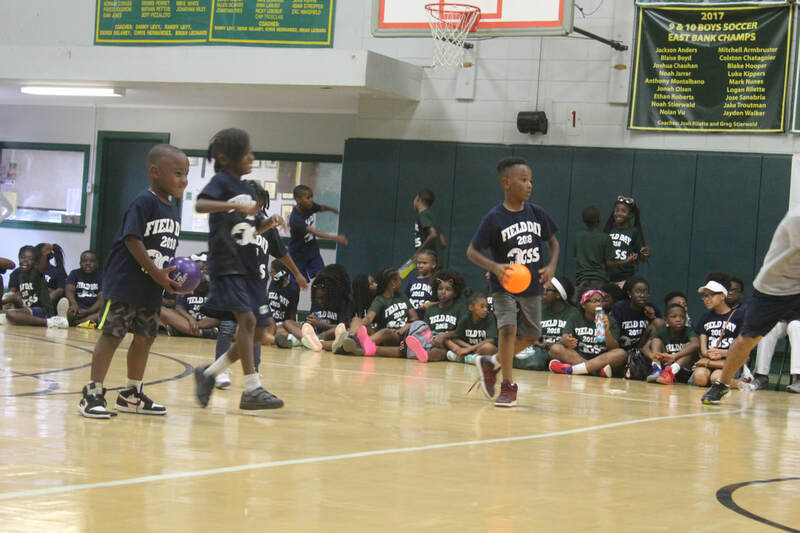 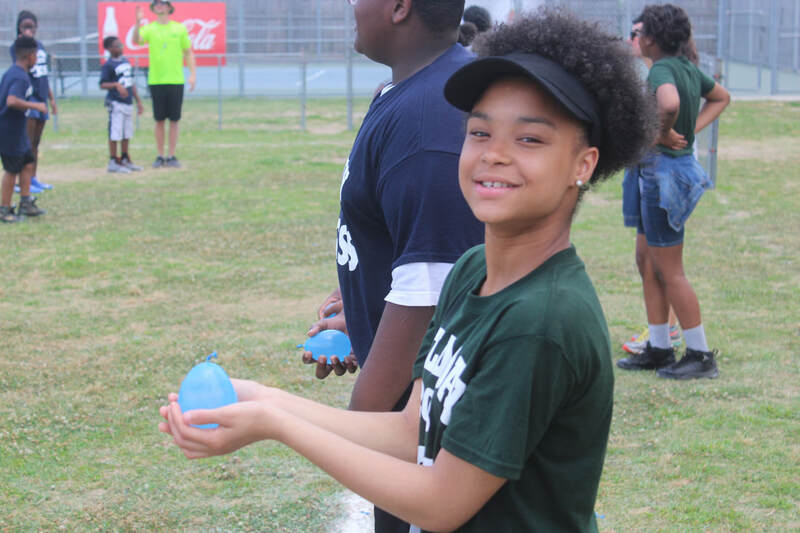 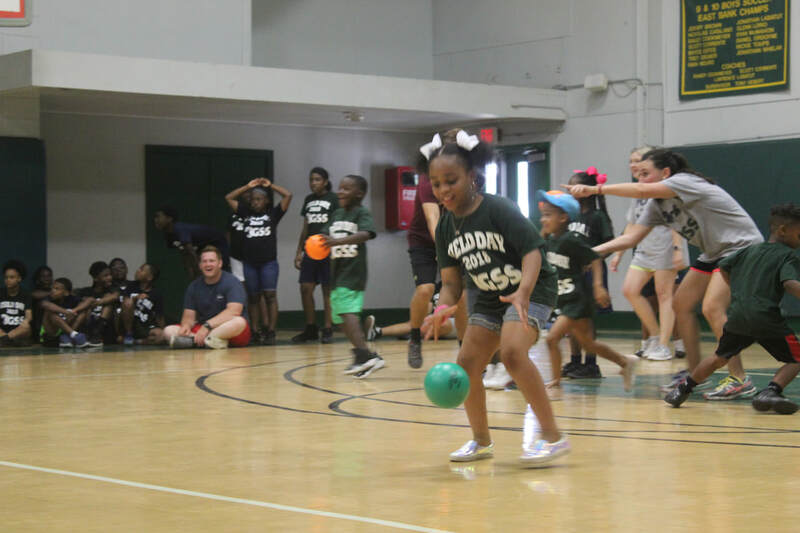 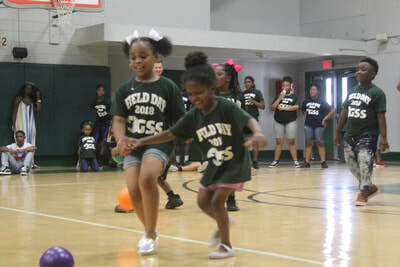 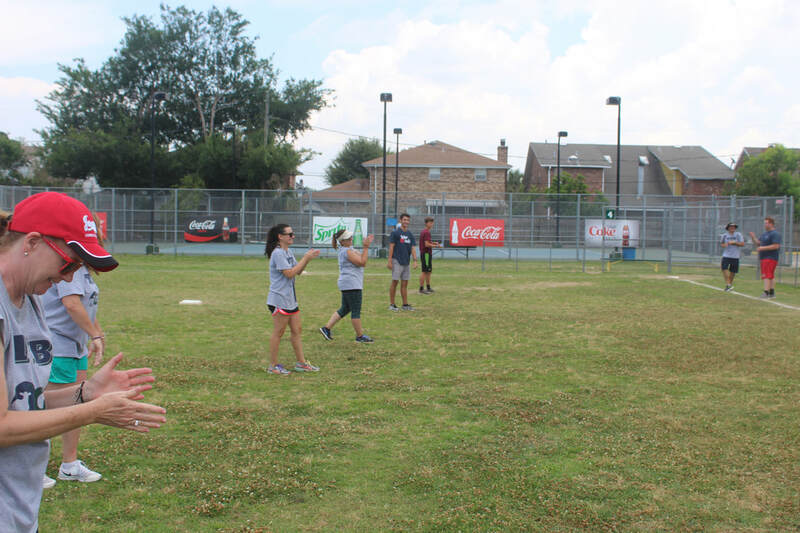 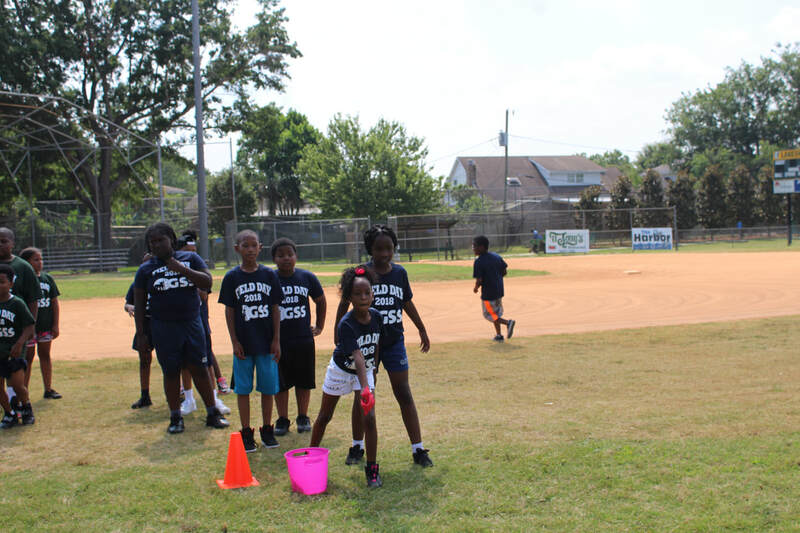 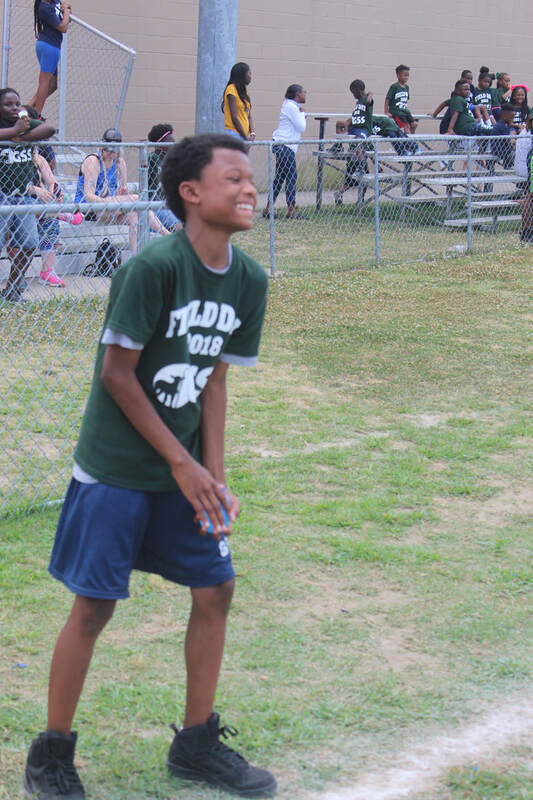 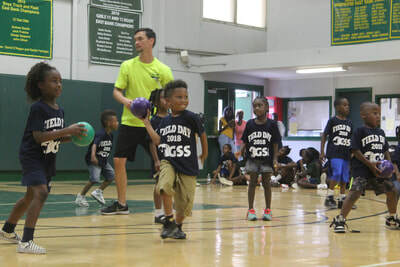 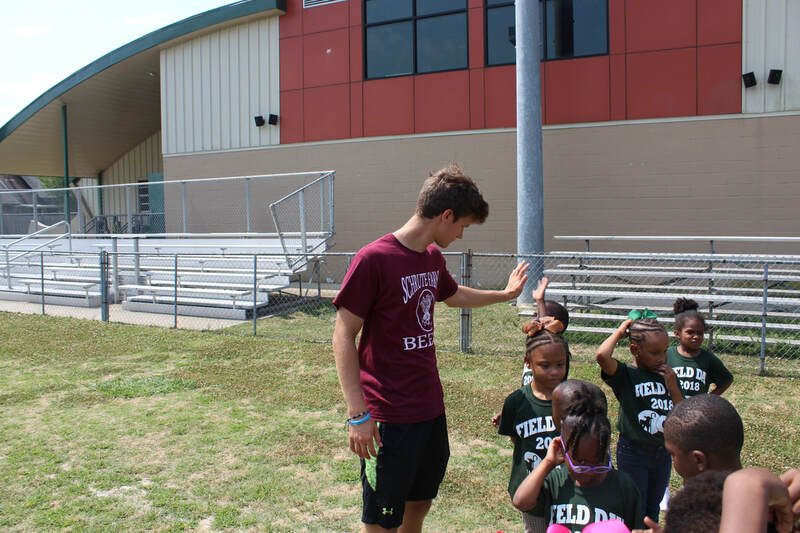 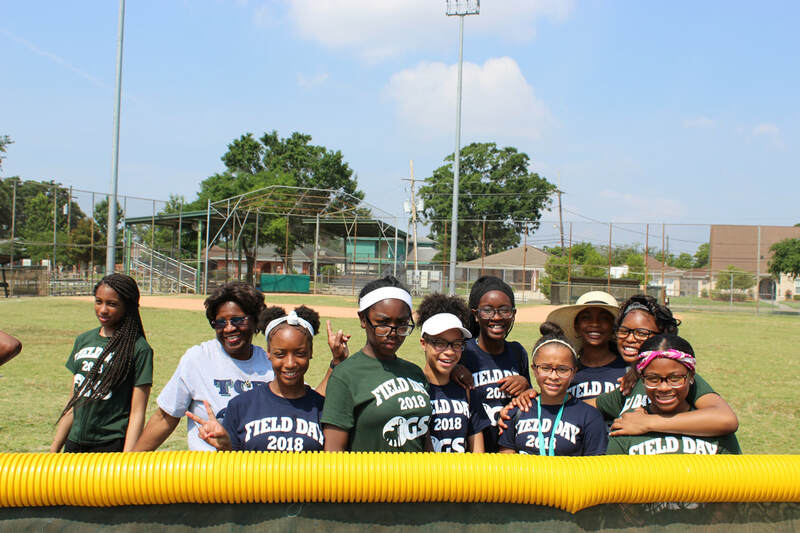 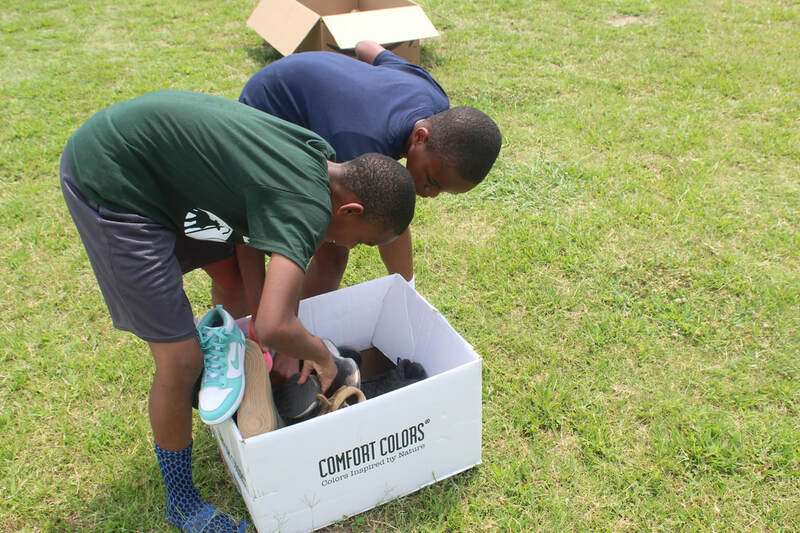 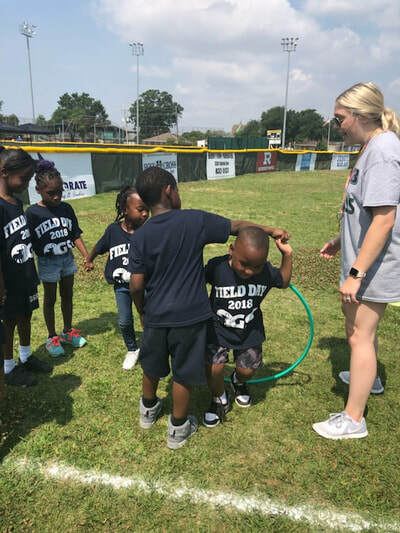 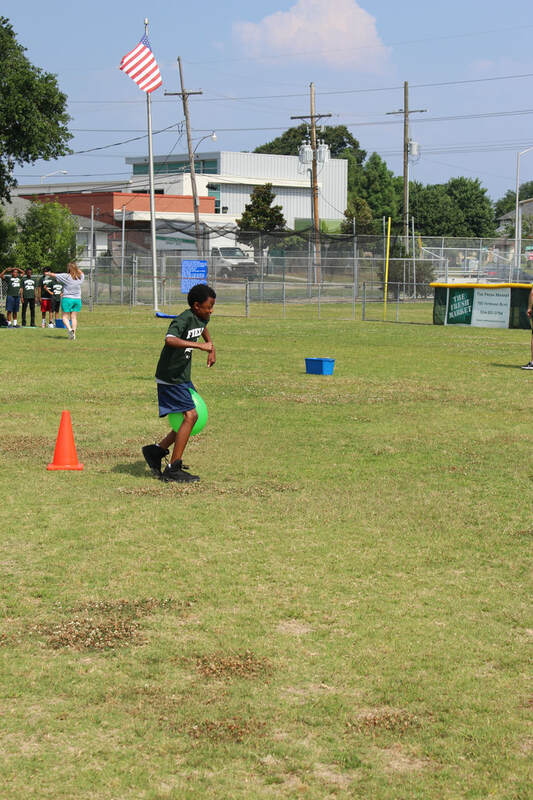 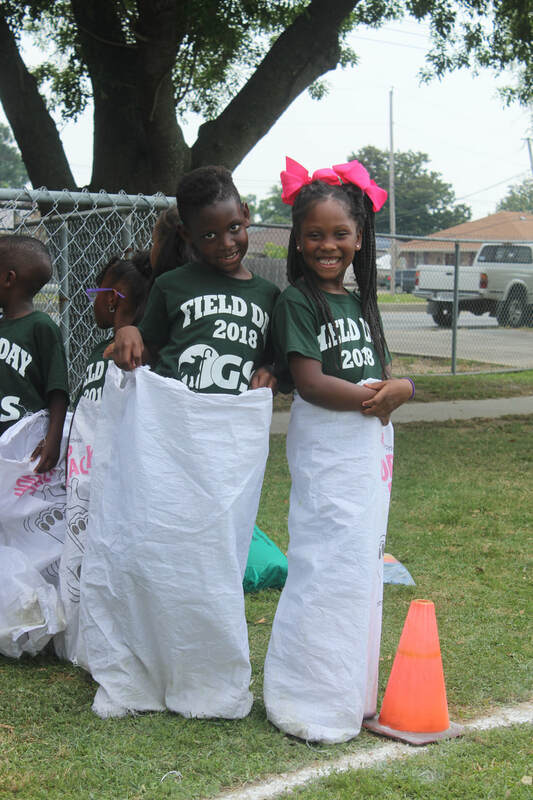 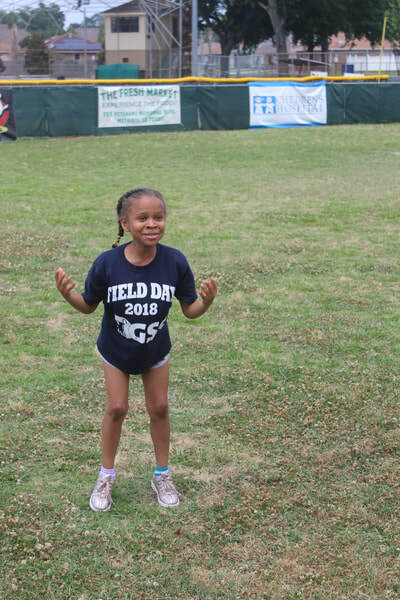 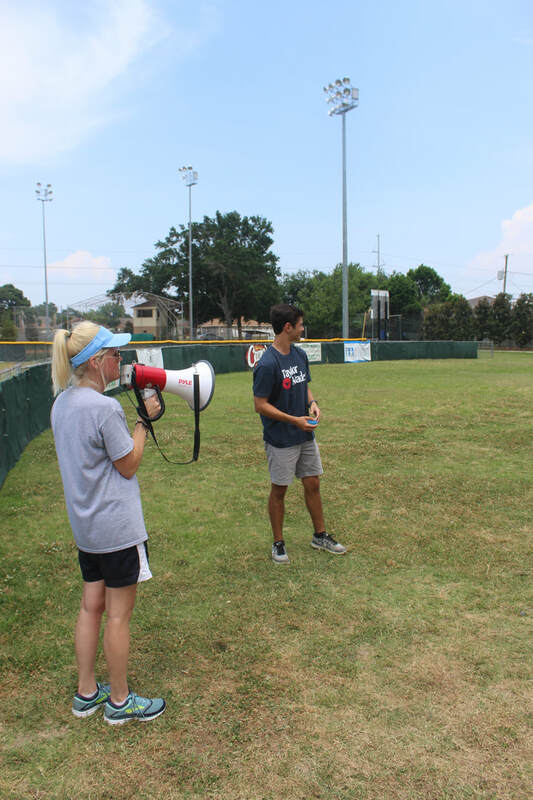 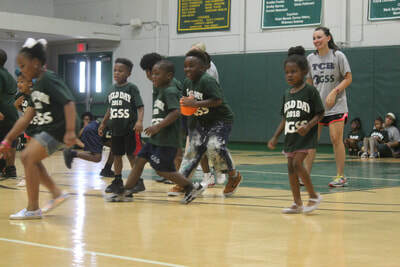 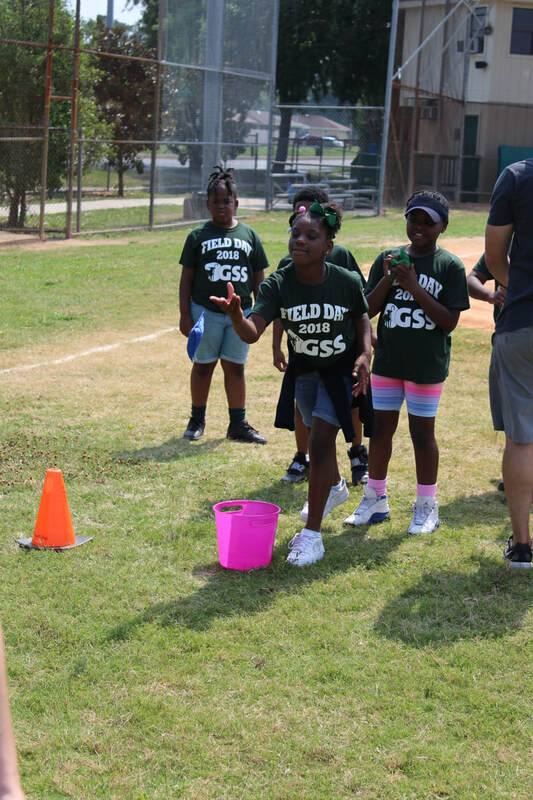 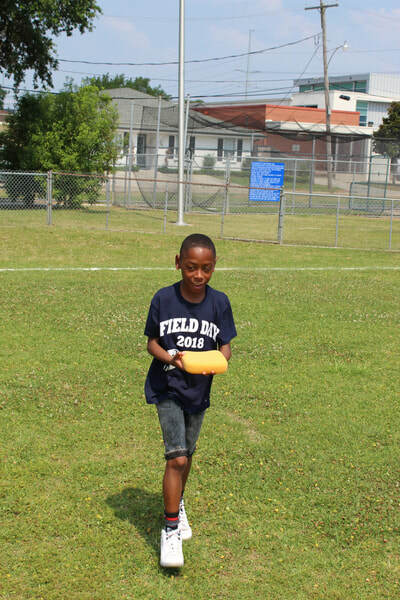 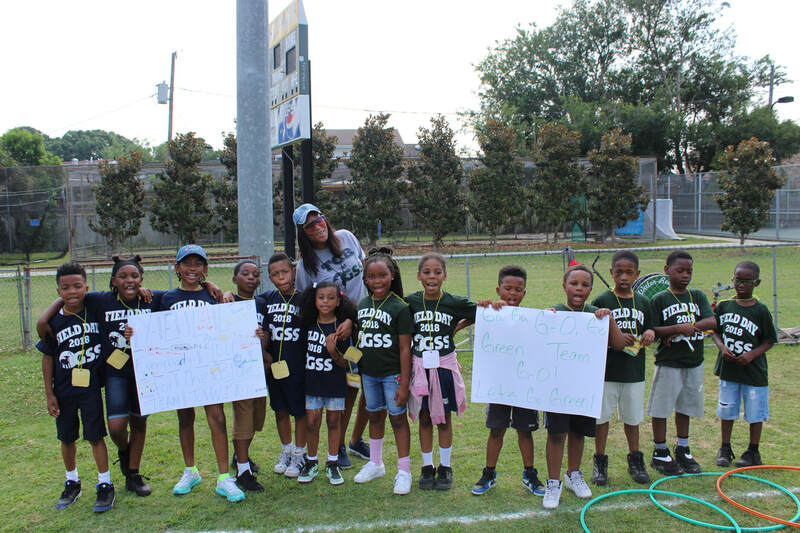 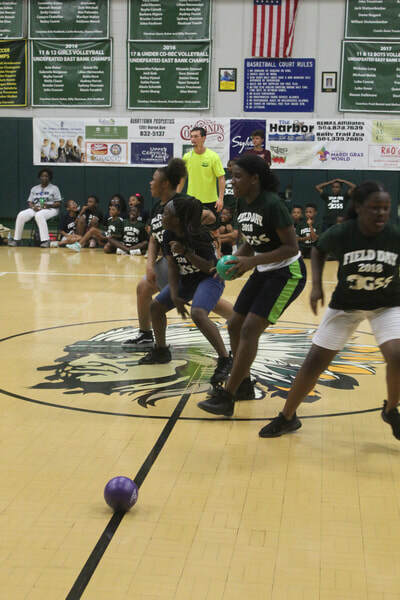 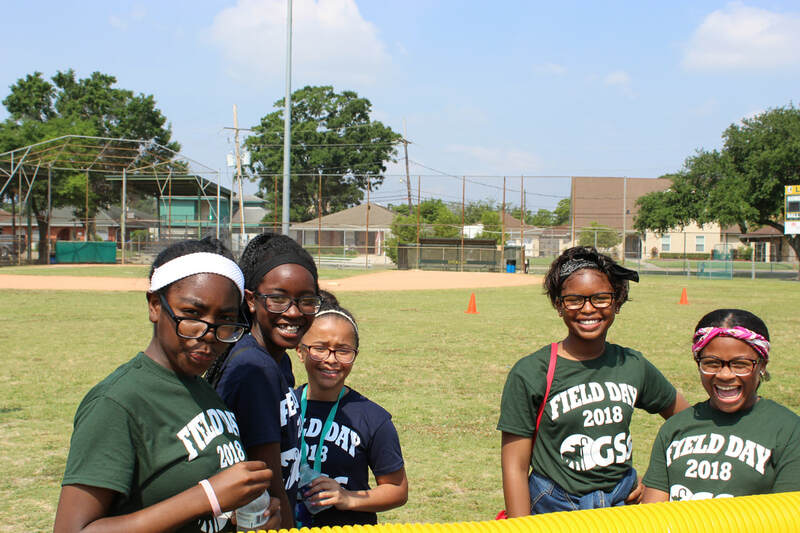 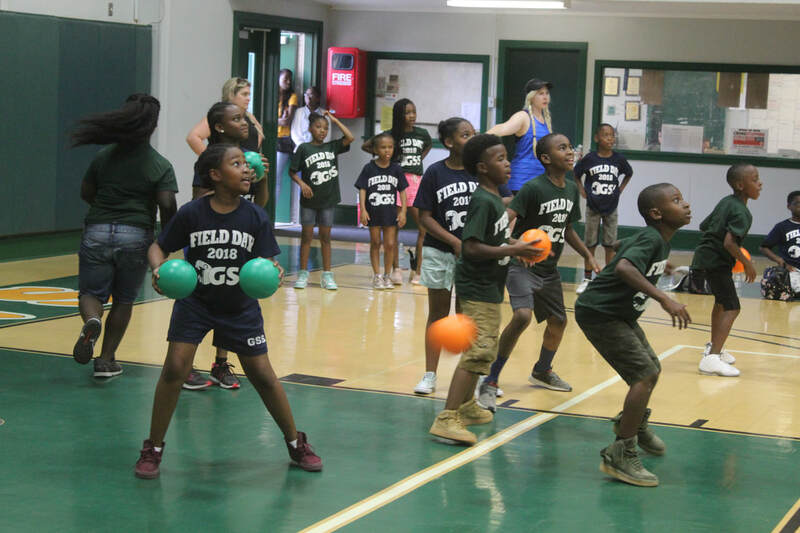 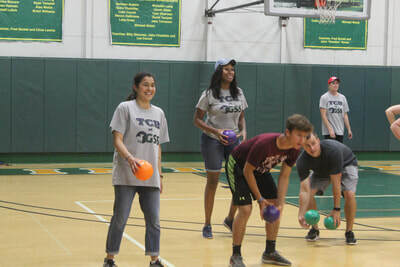 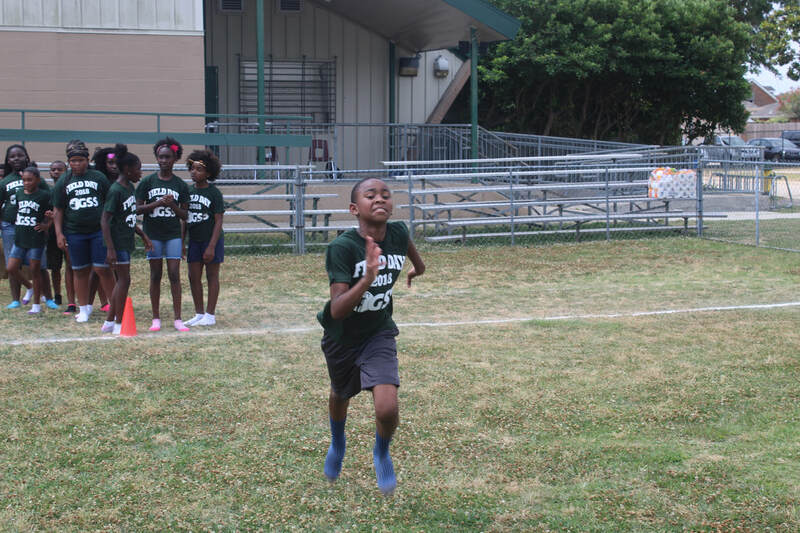 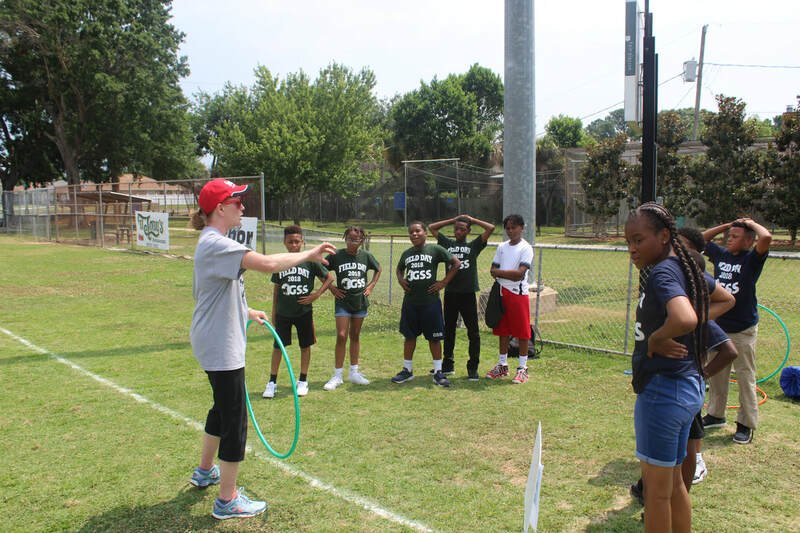 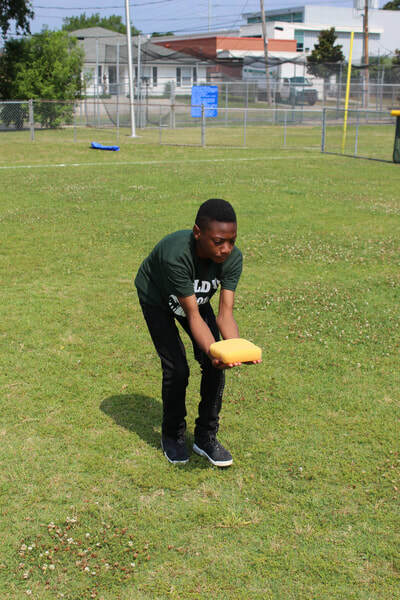 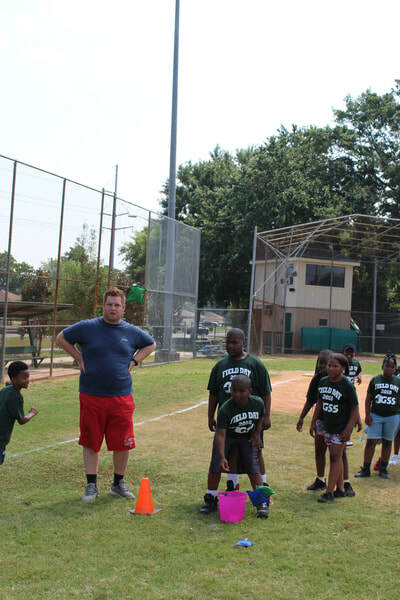 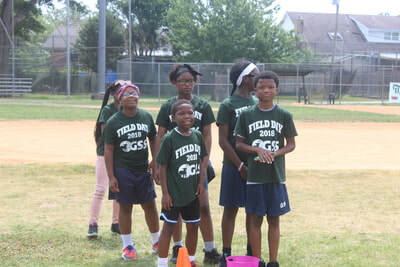 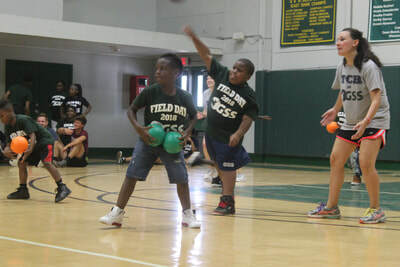 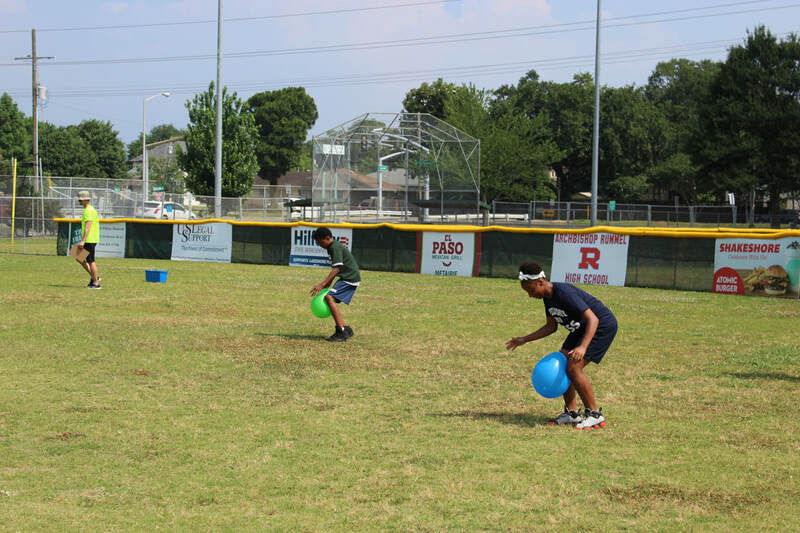 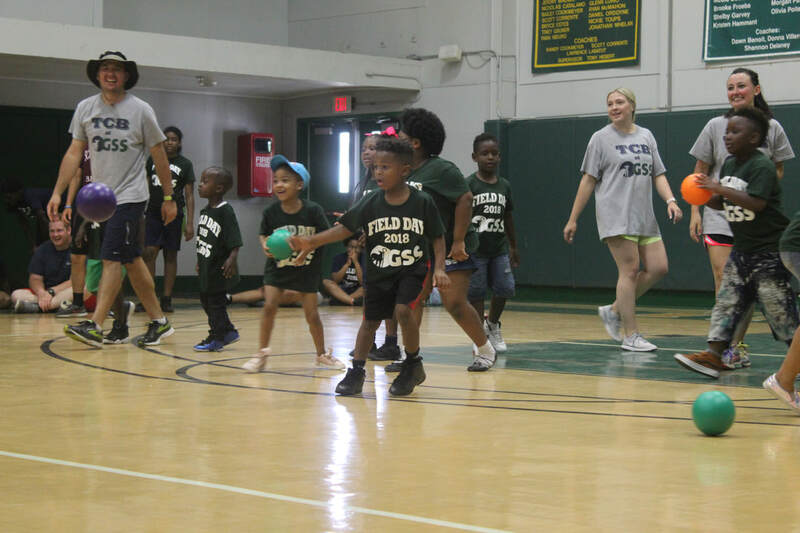 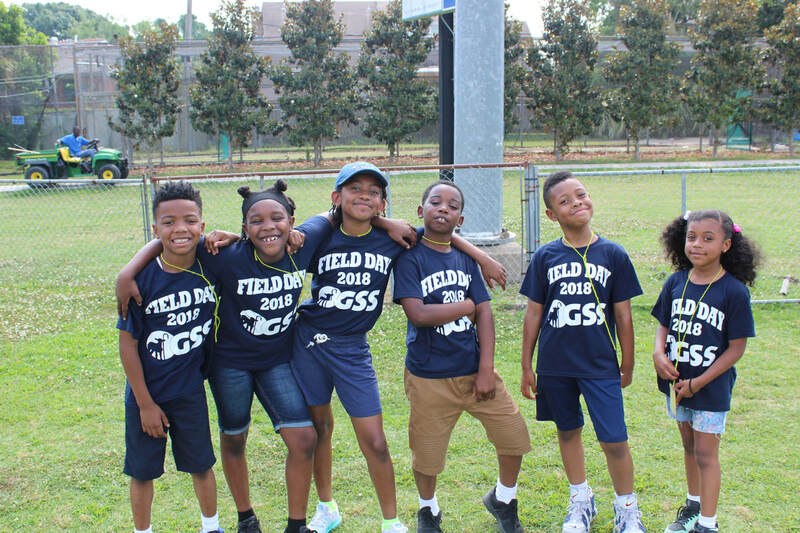 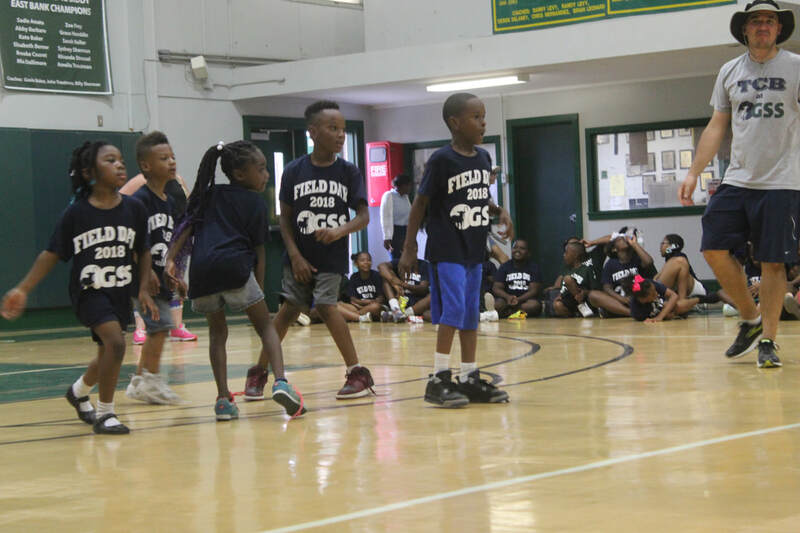 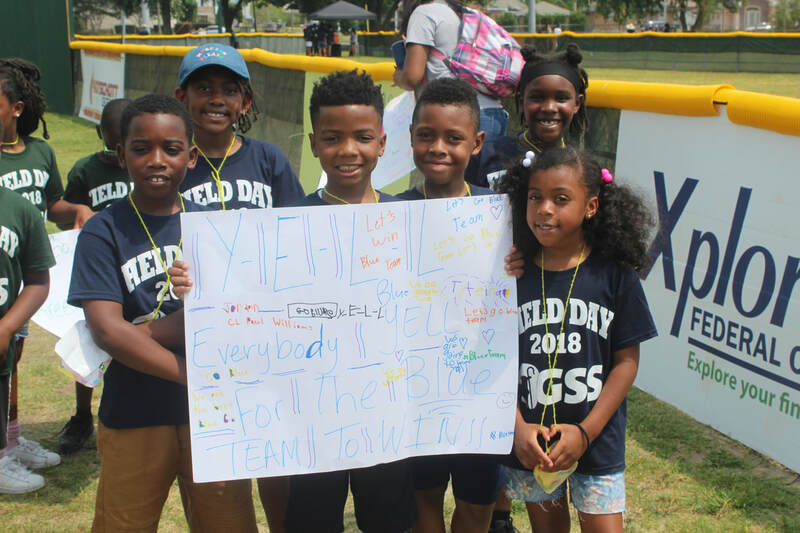 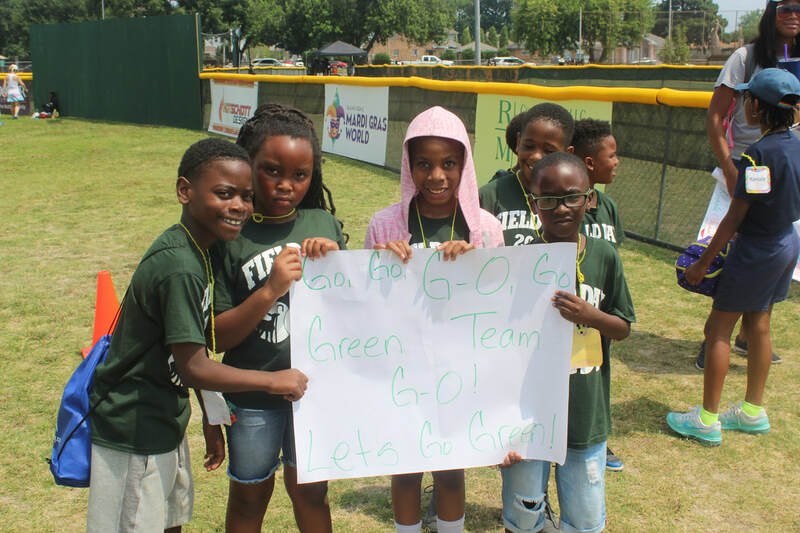 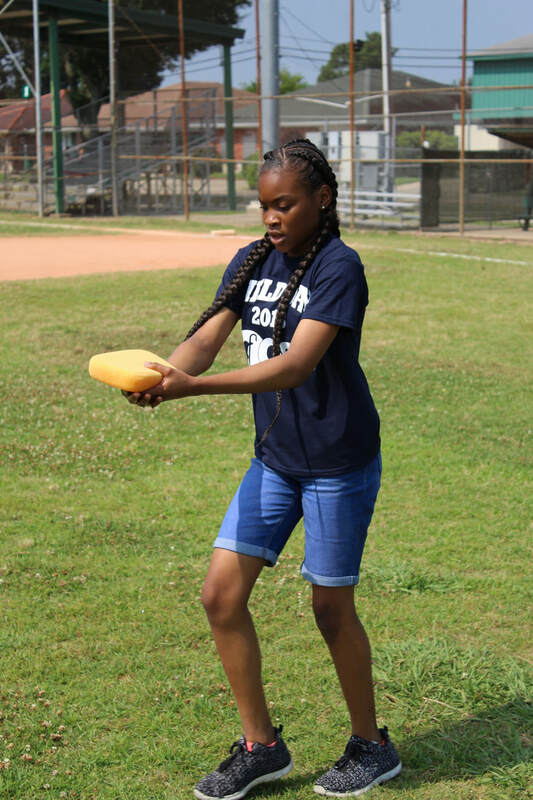 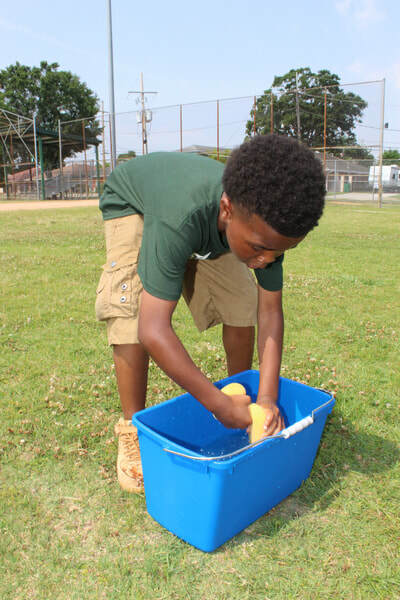 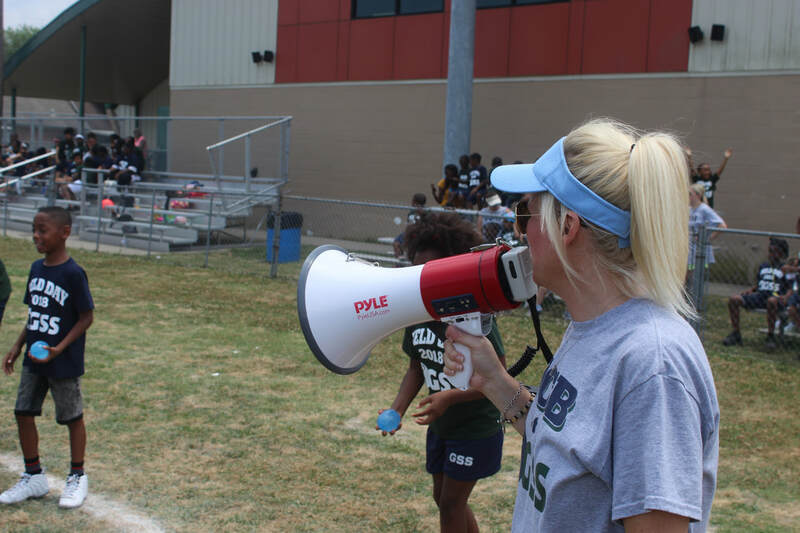 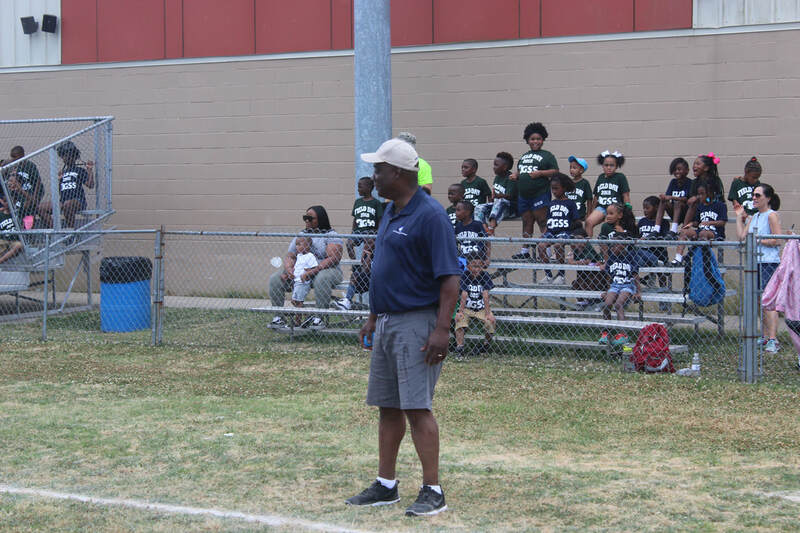 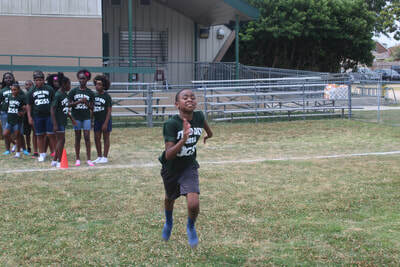 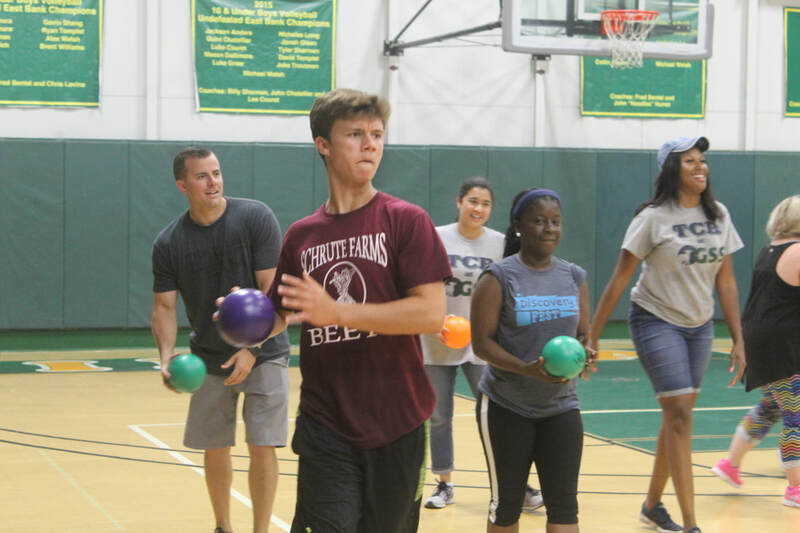 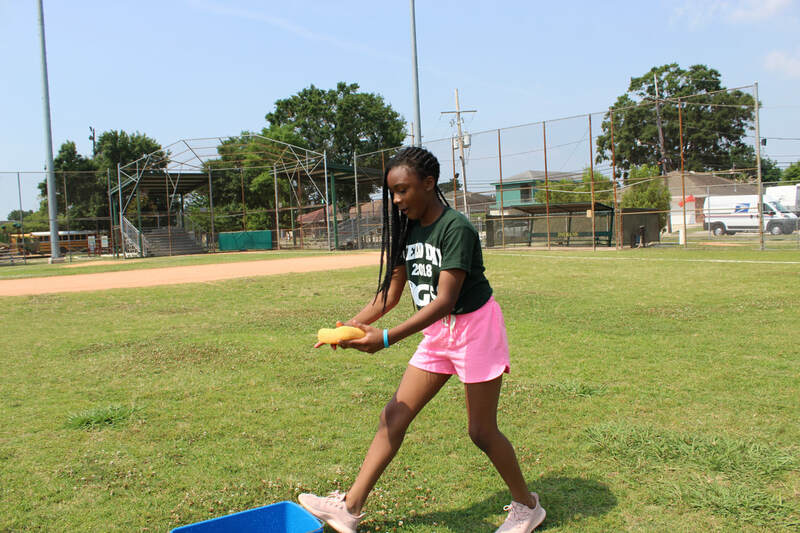 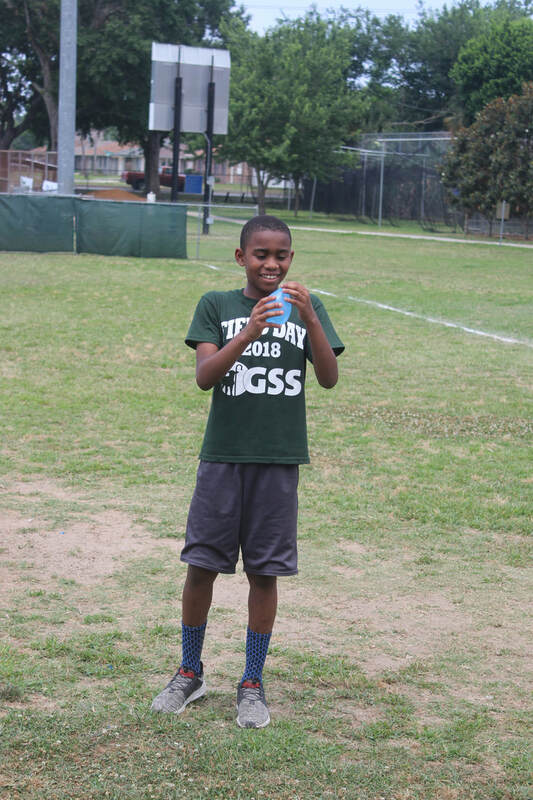 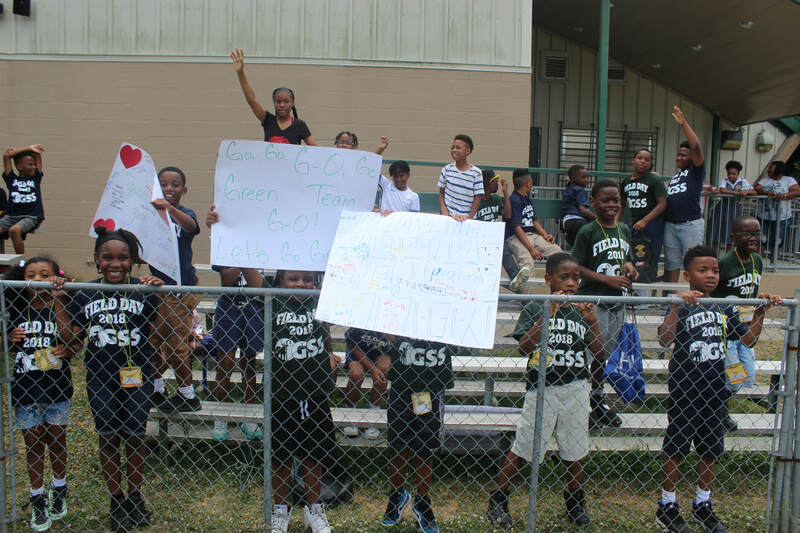 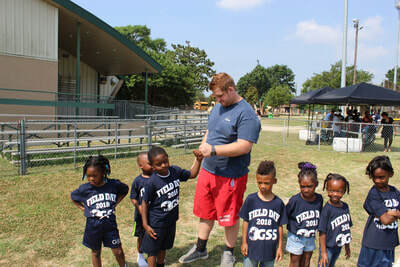 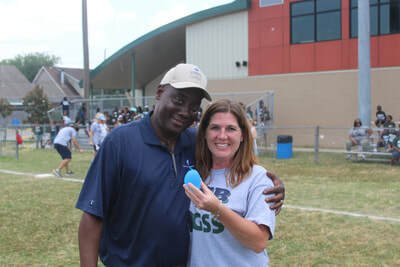 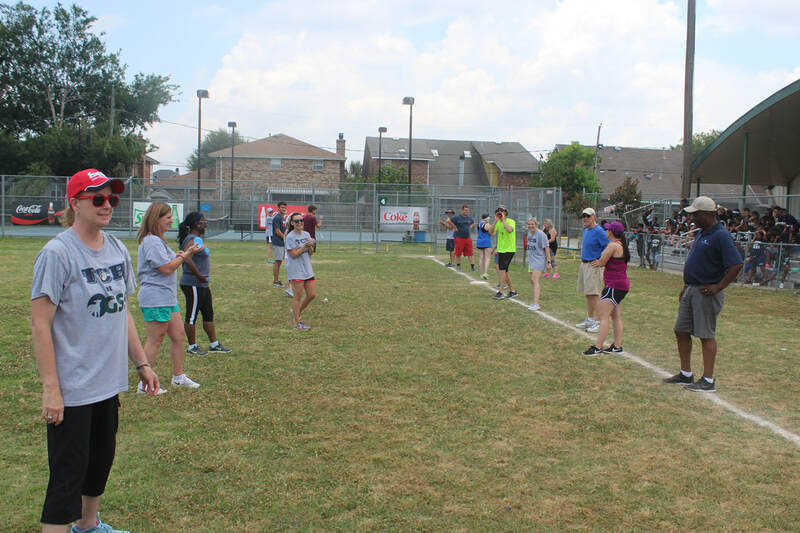 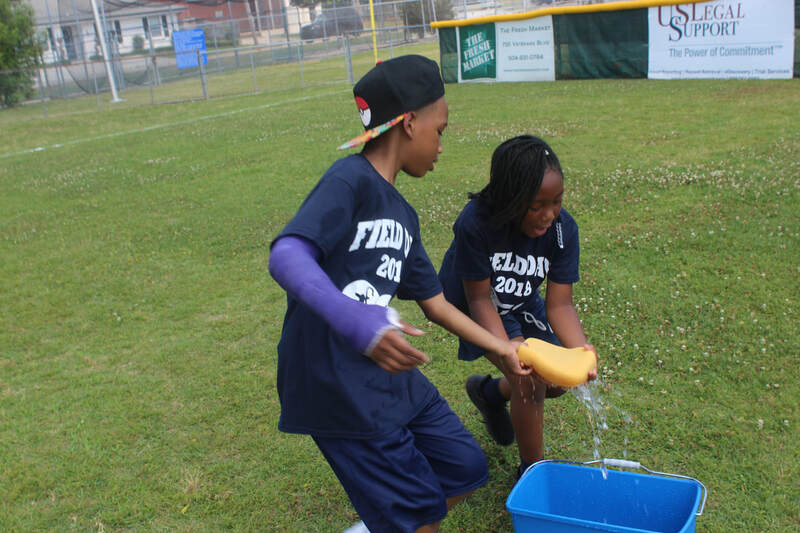 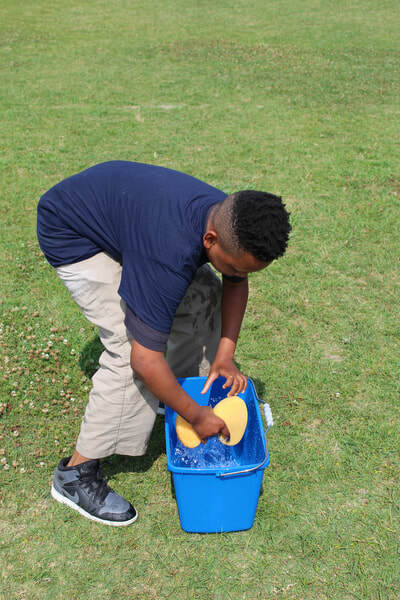 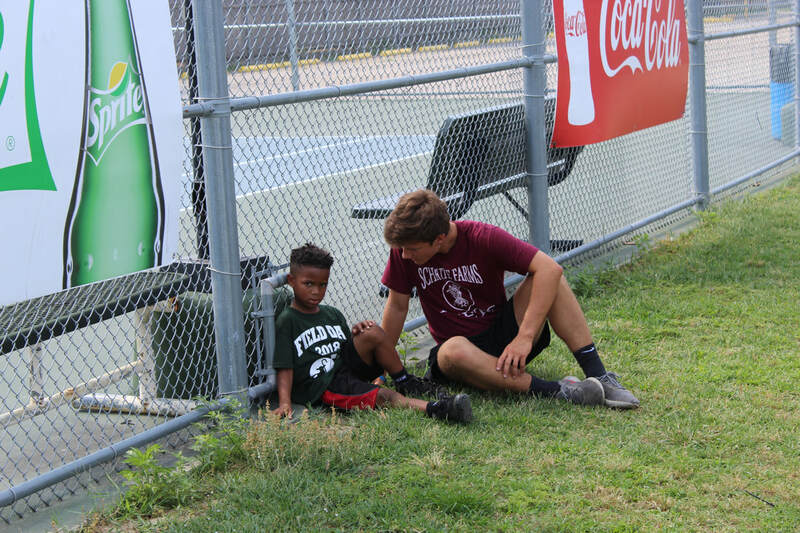 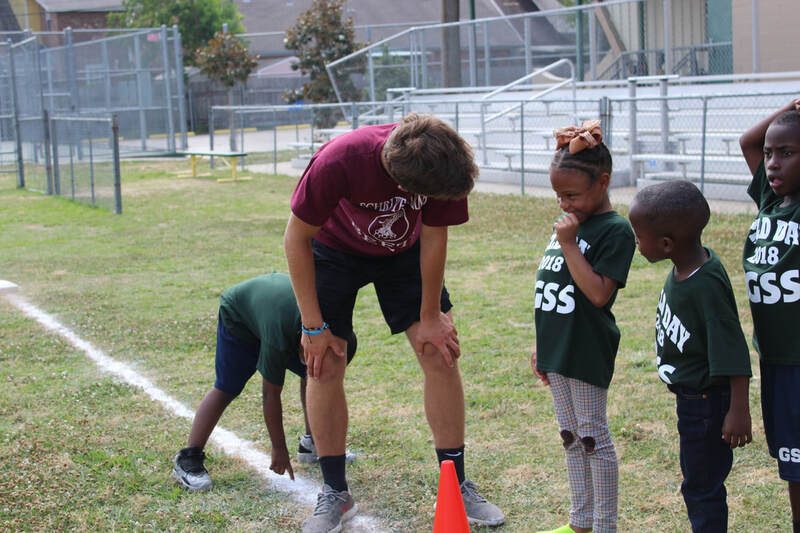 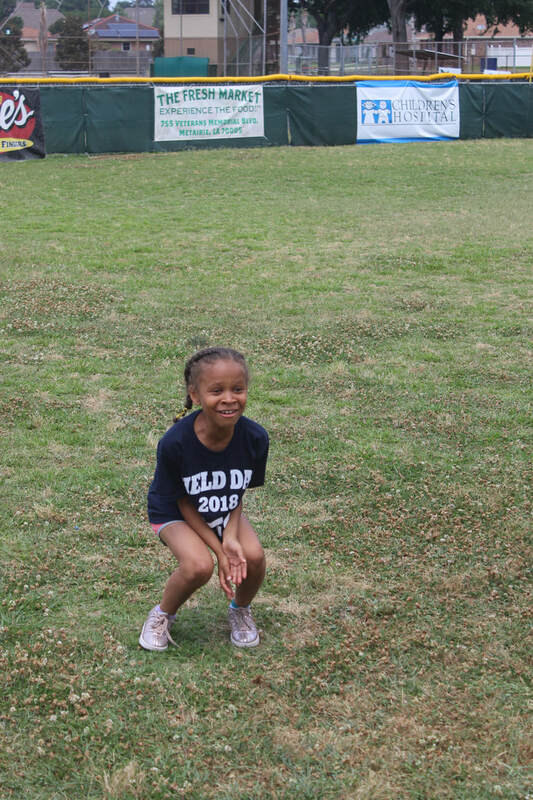 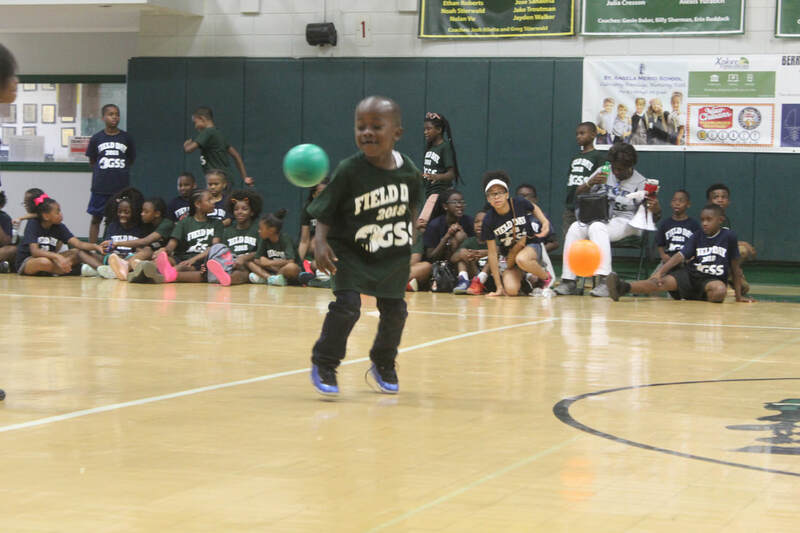 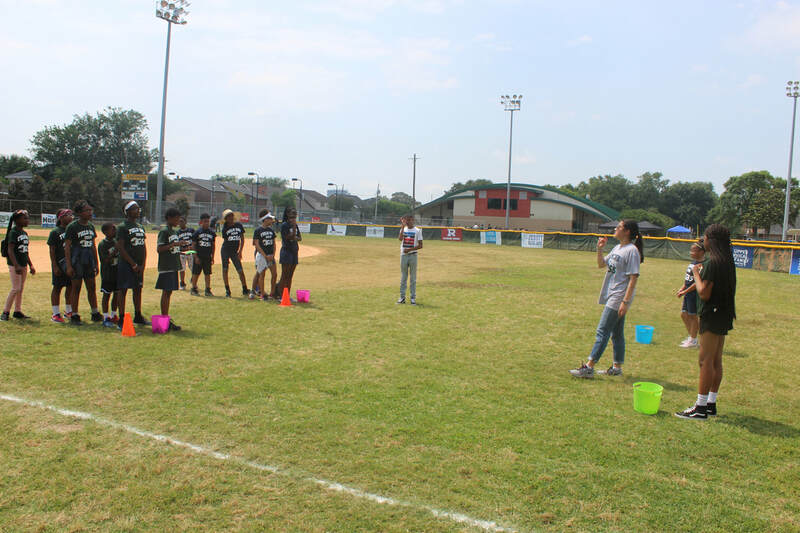 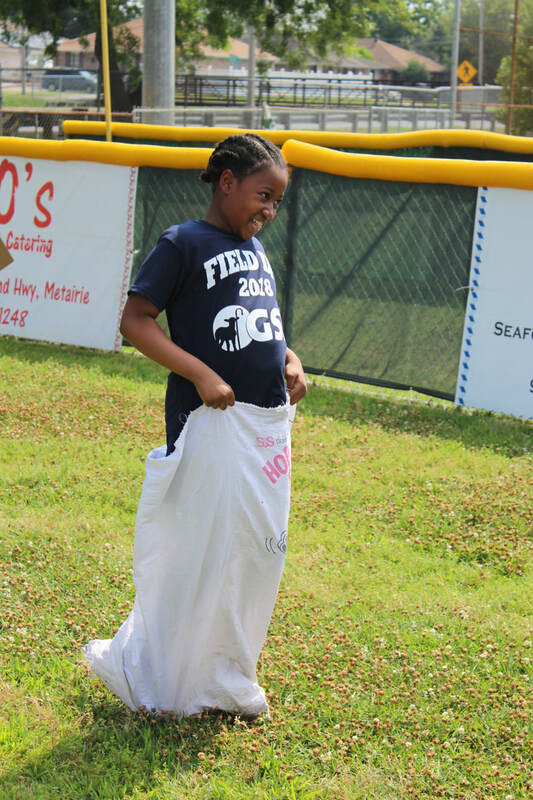 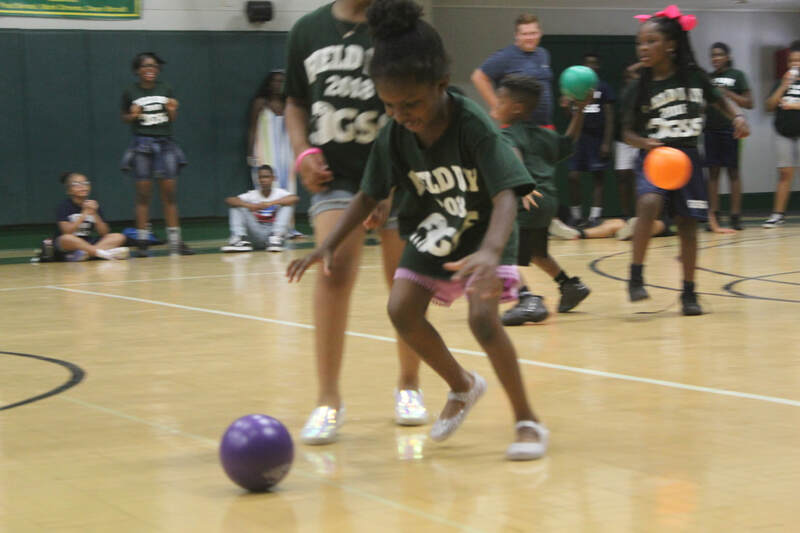 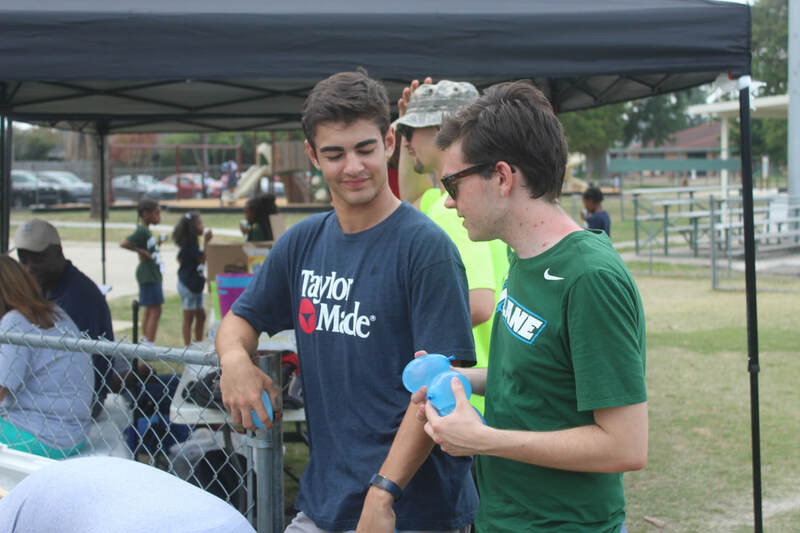 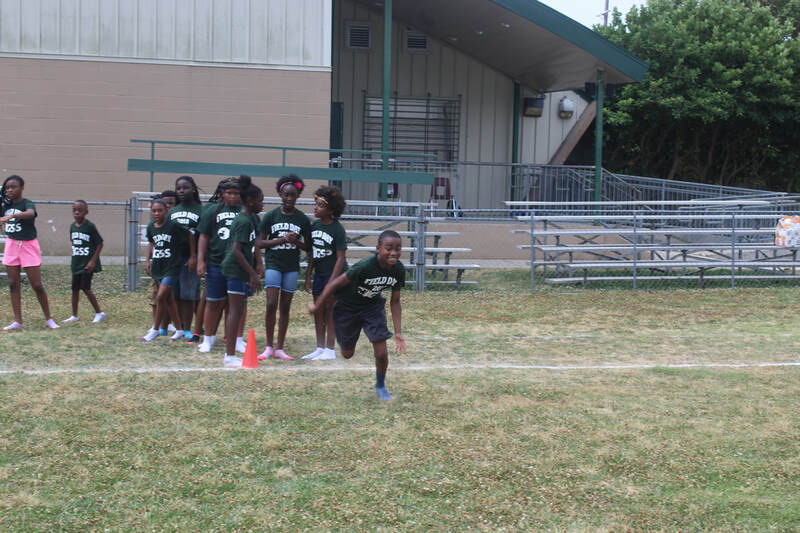 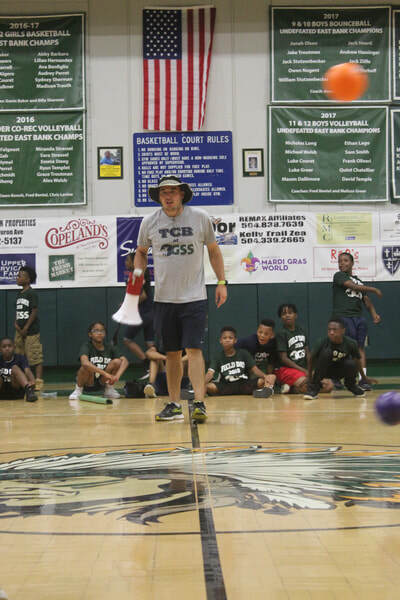 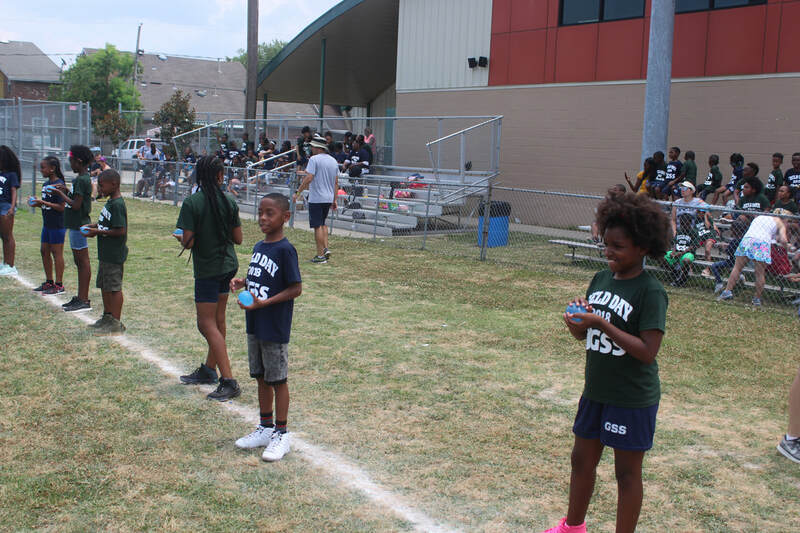 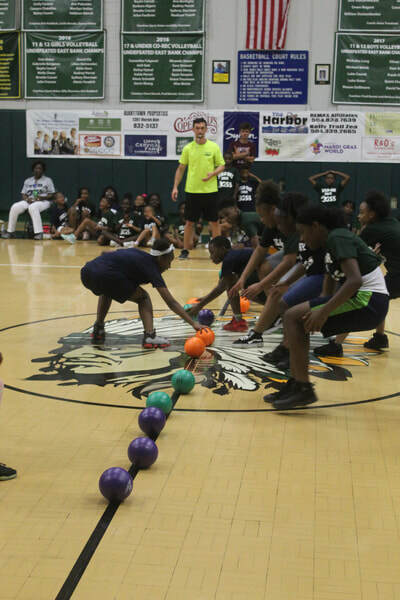 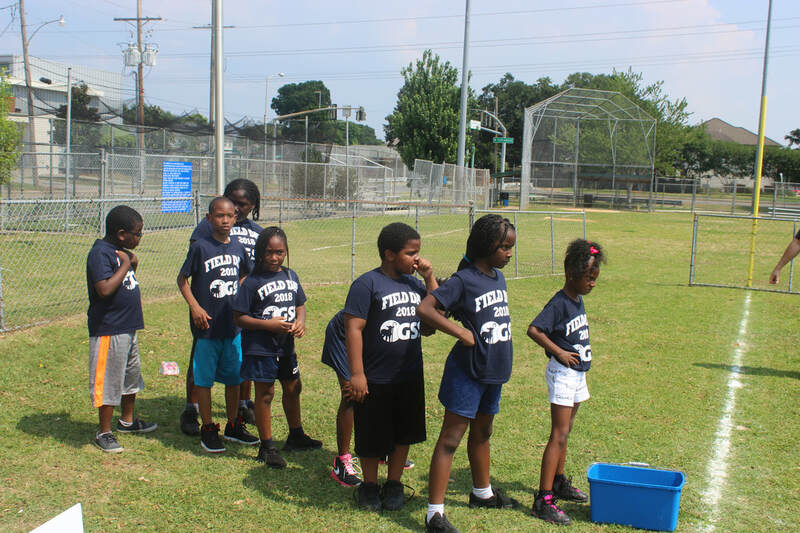 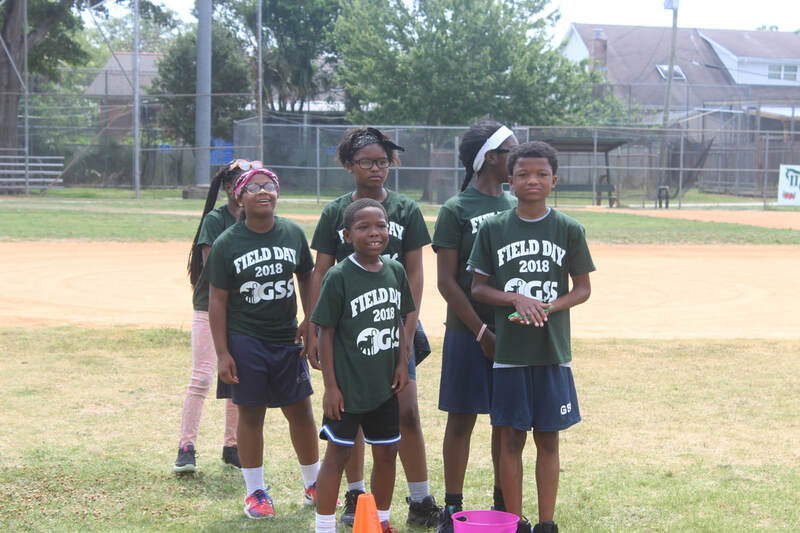 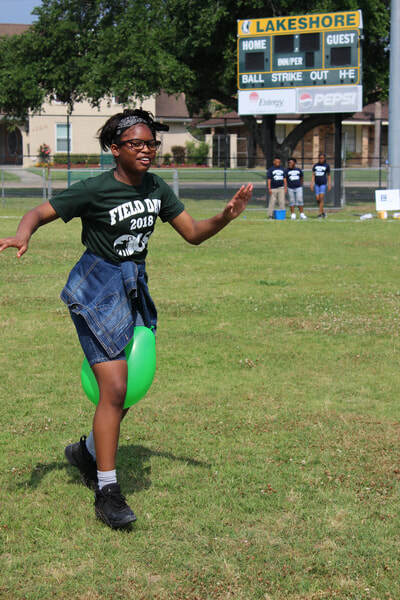 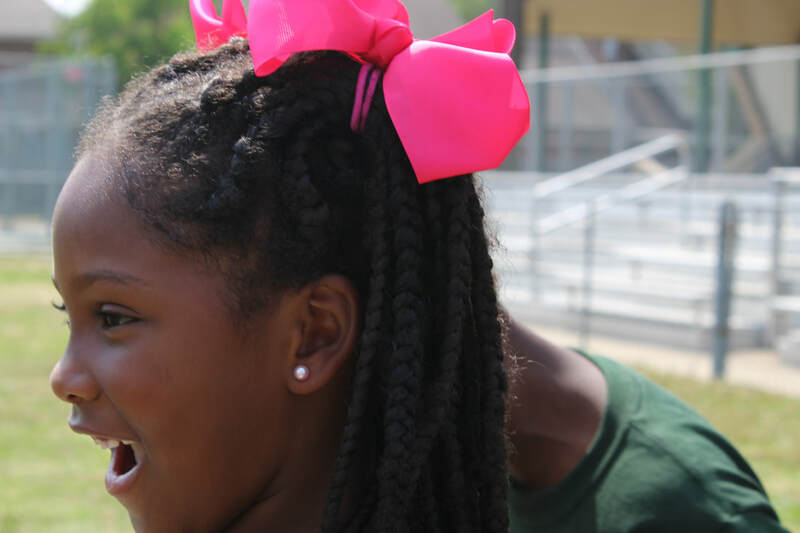 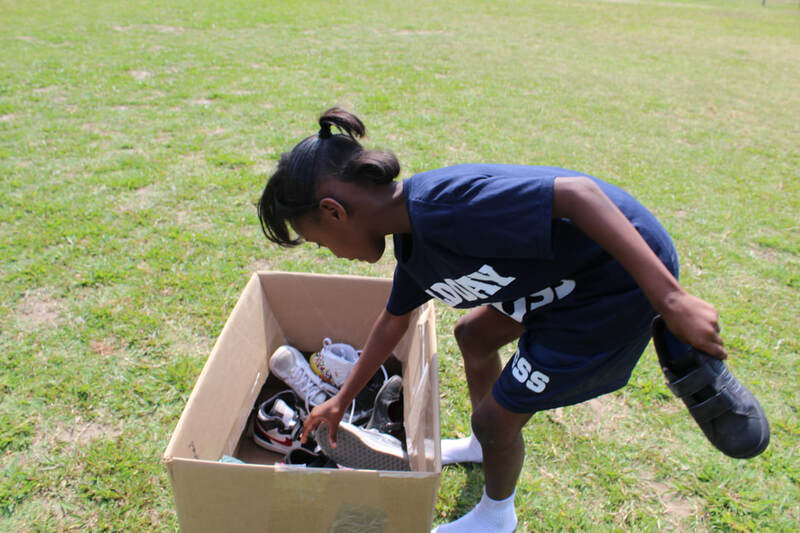 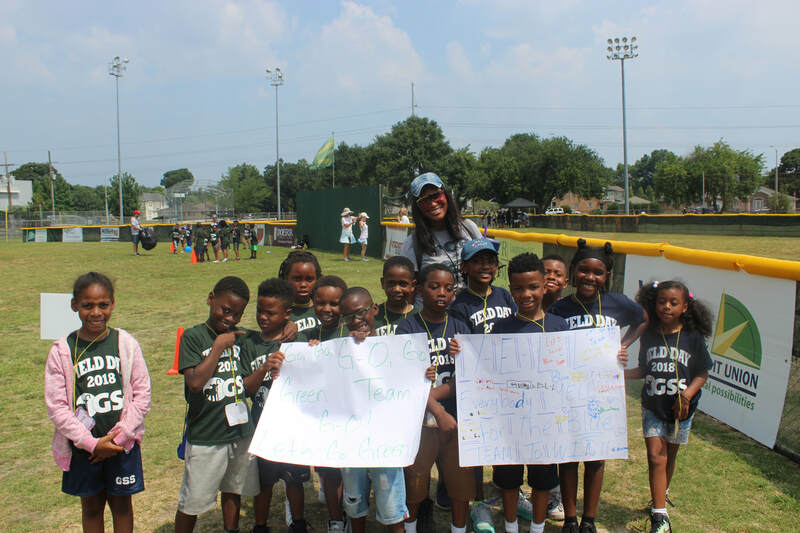 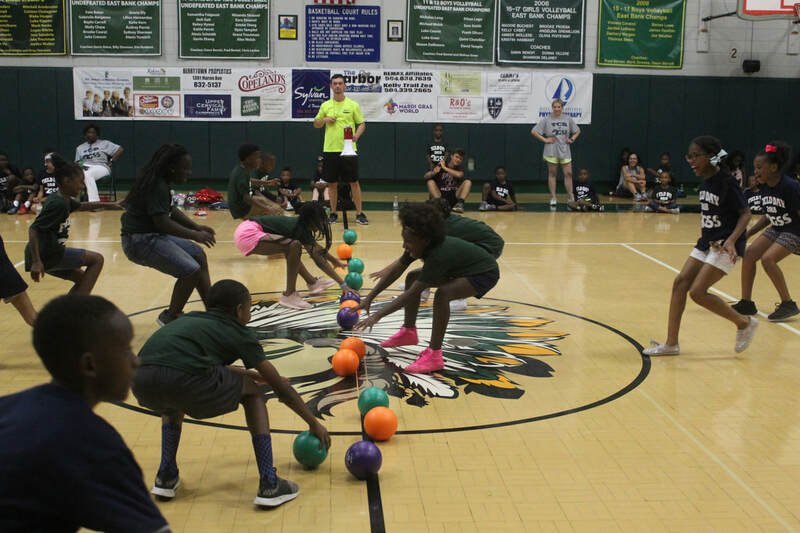 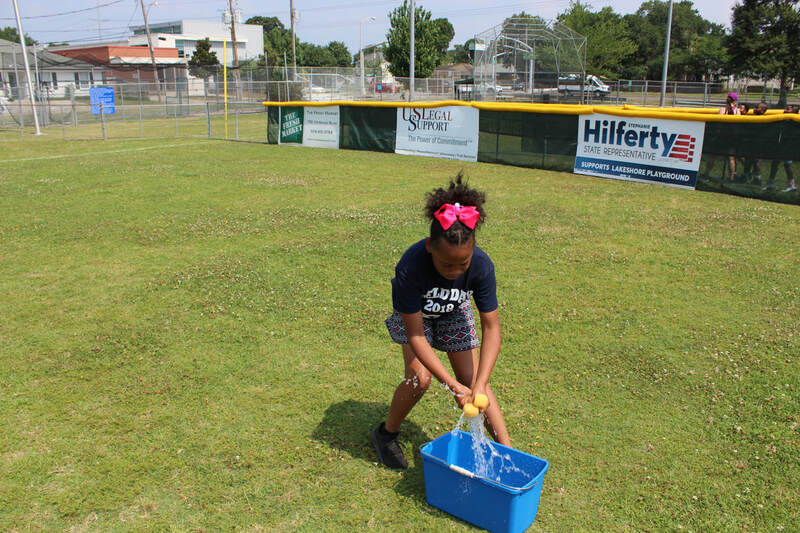 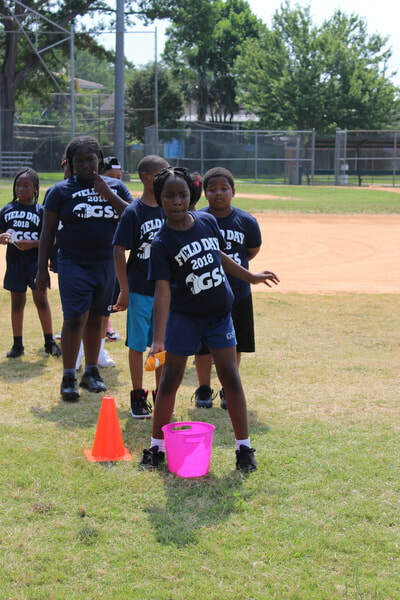 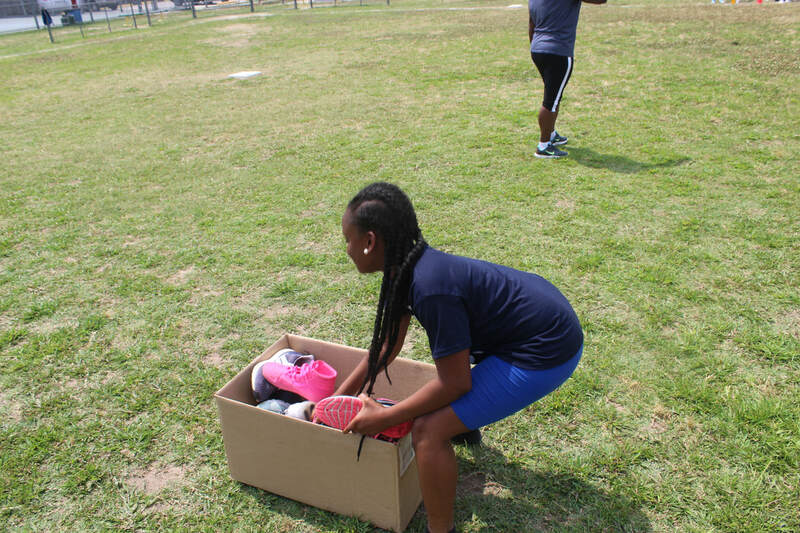 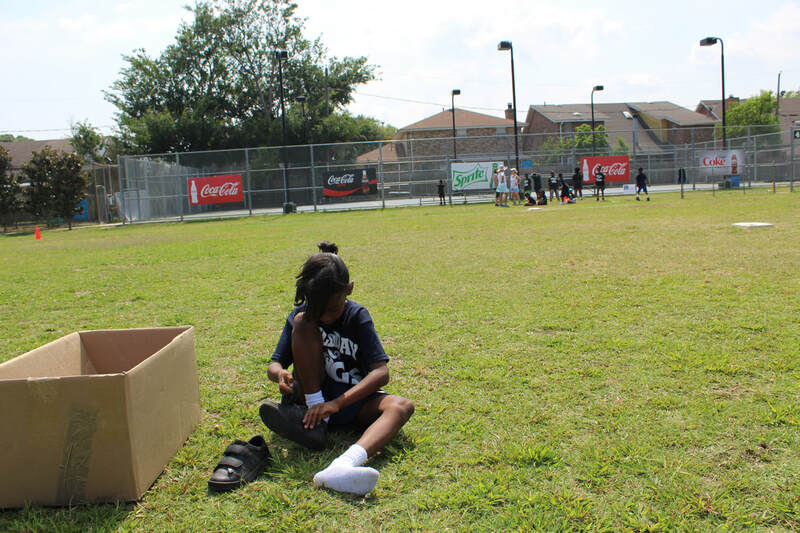 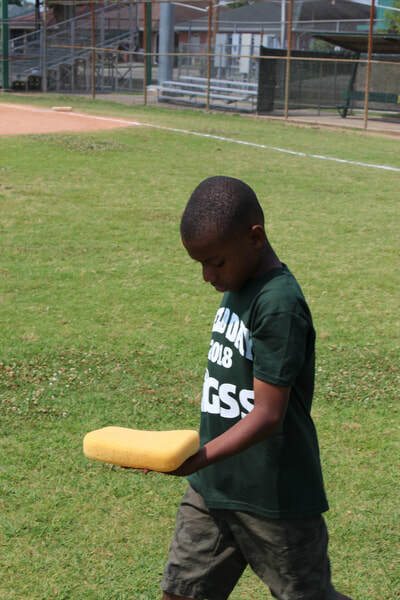 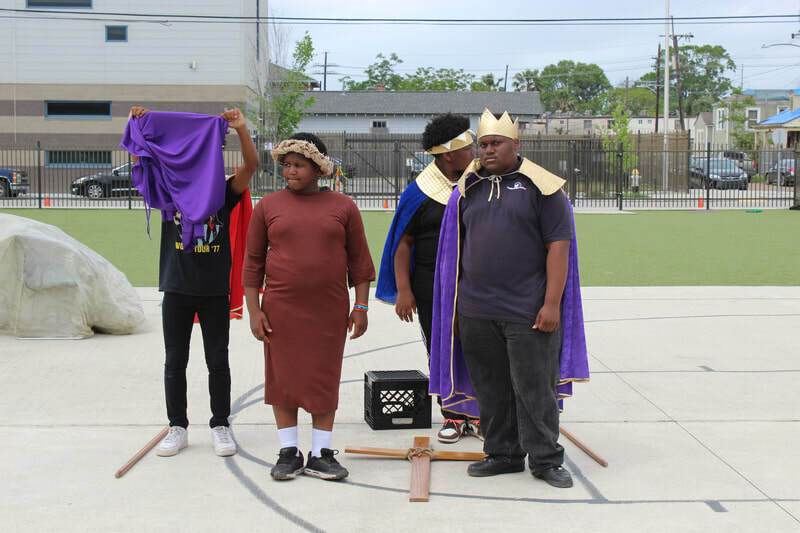 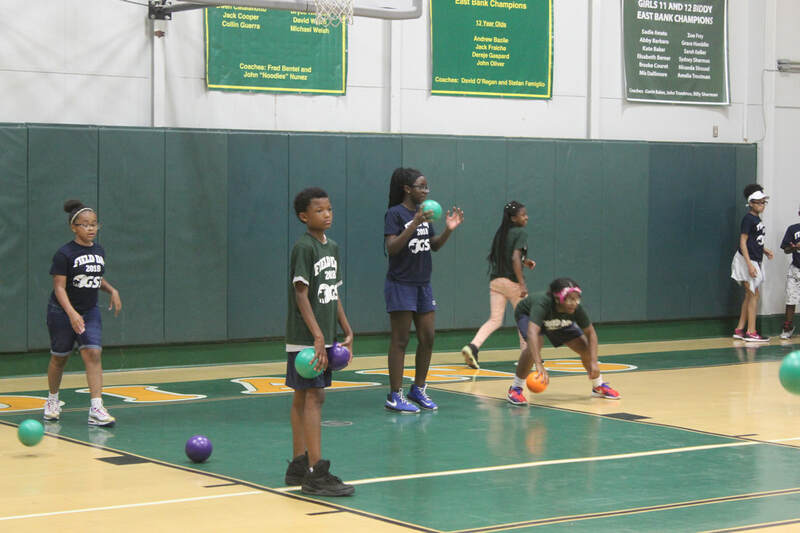 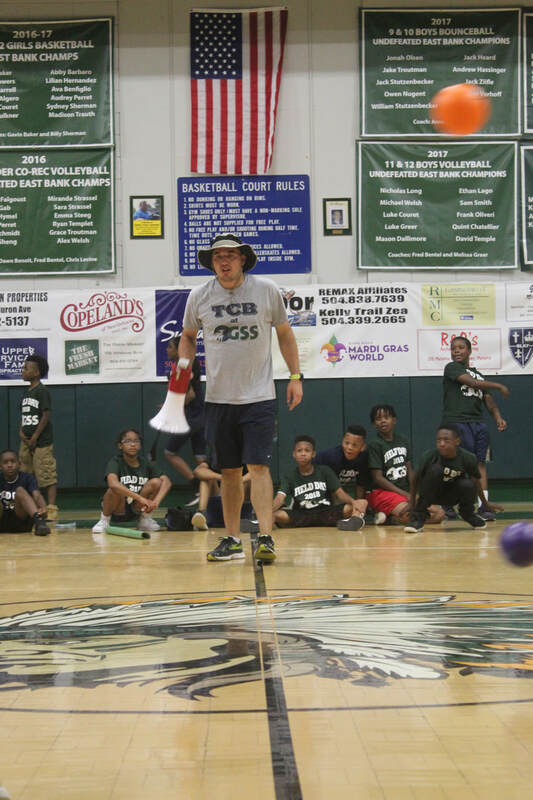 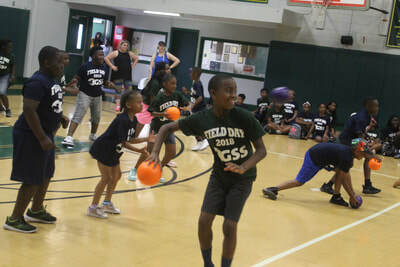 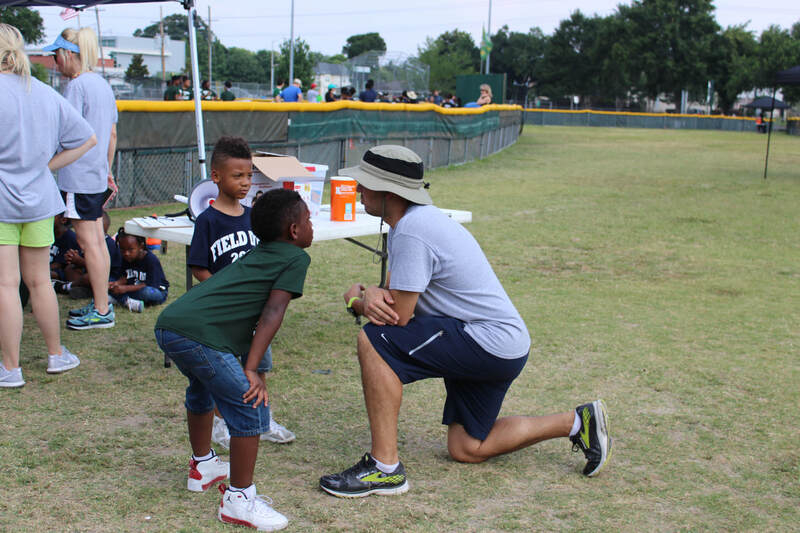 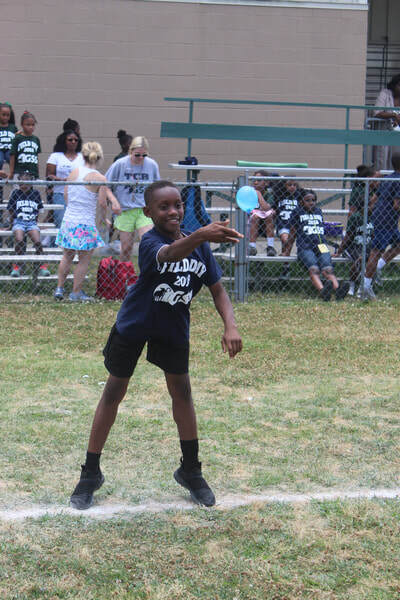 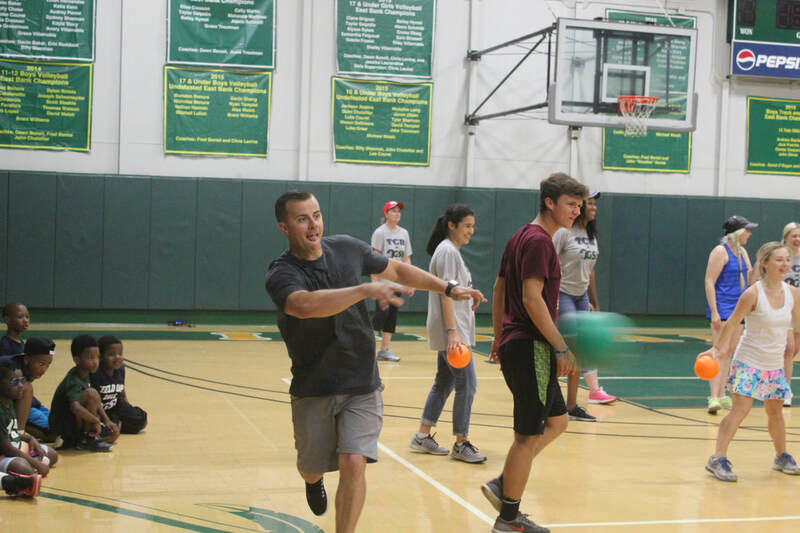 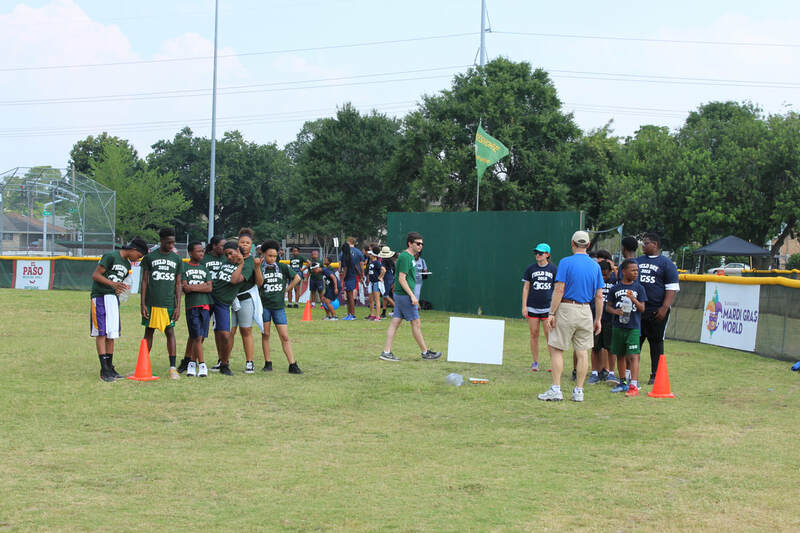 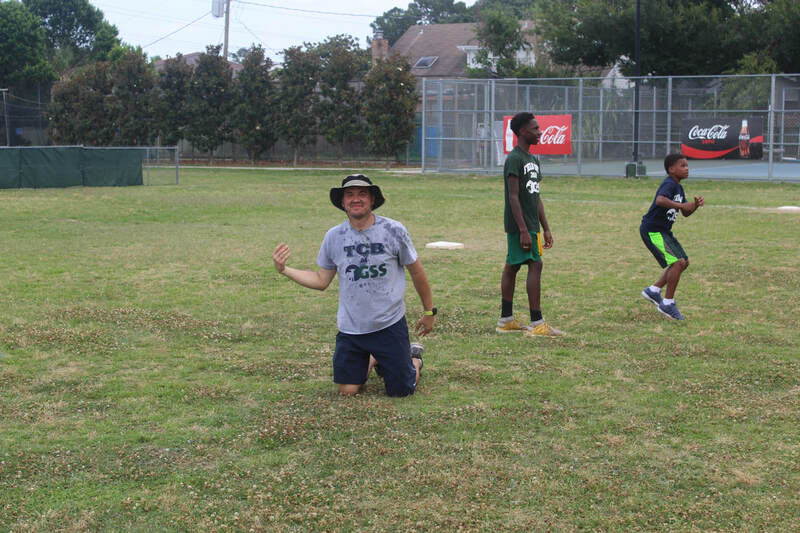 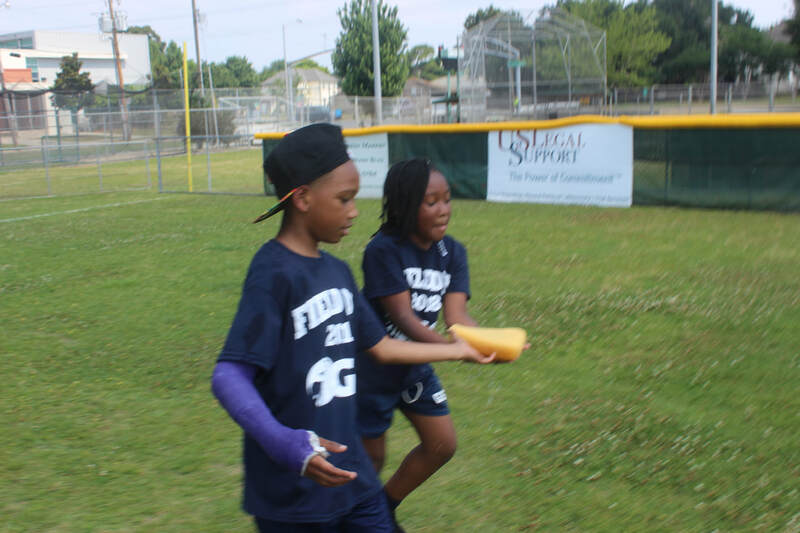 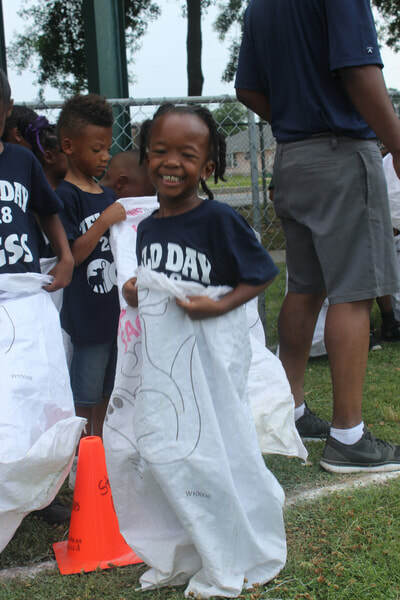 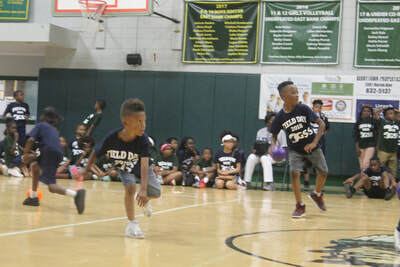 To celebrate the ending of the 2017-2018 school year and all of the friendships that were formed throughout the year, GSS hosted Field Day 2018. 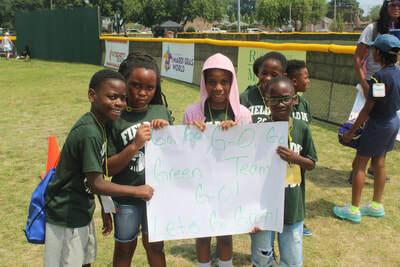 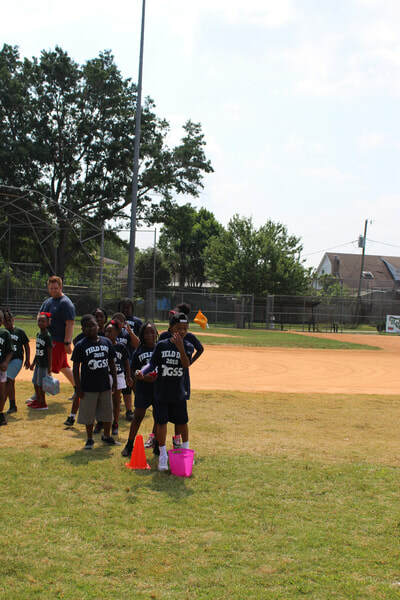 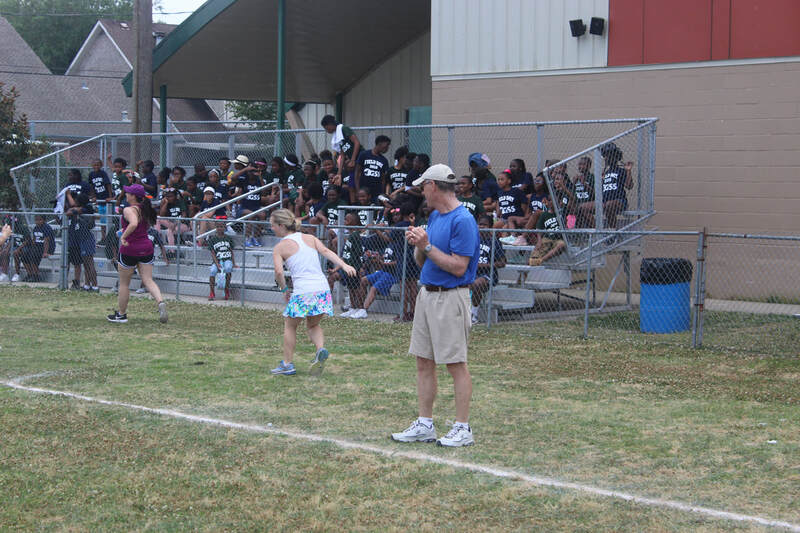 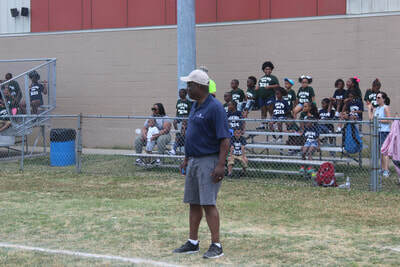 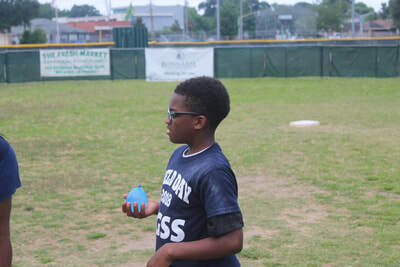 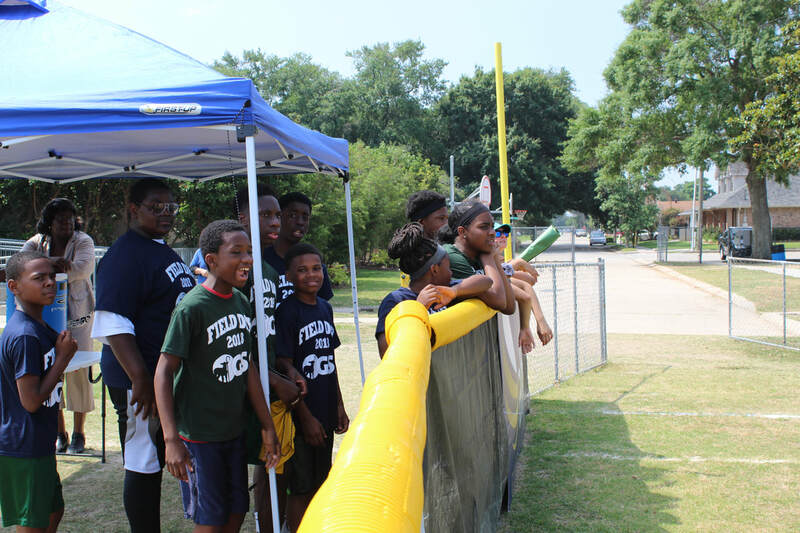 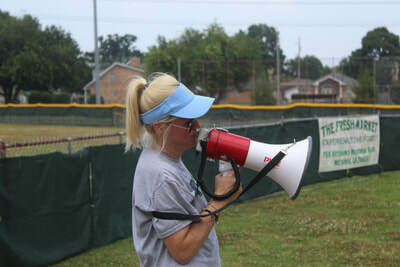 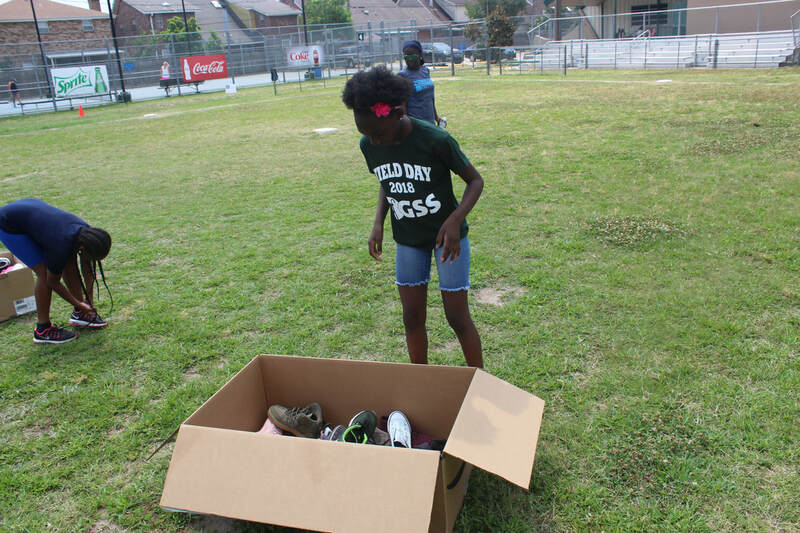 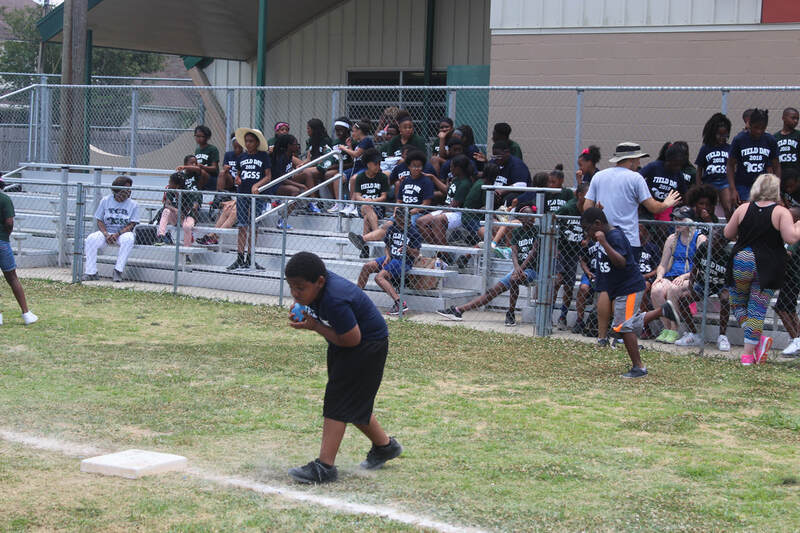 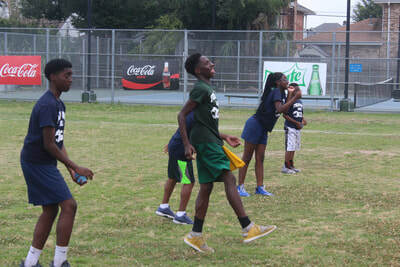 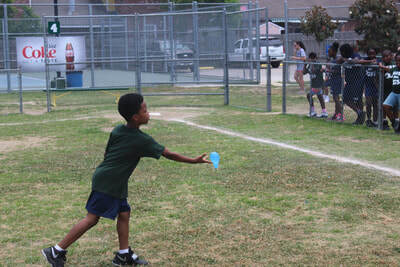 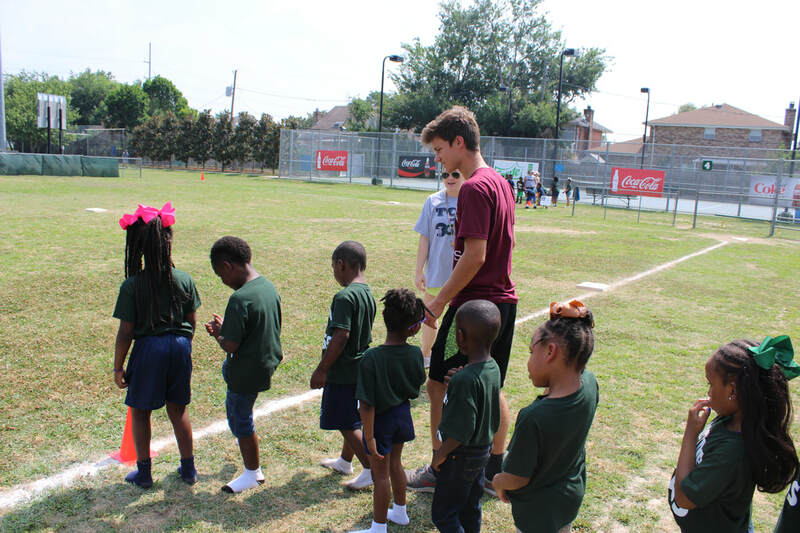 Students boarded four buses and trekked to Lakeshore Playground where games, food, fun, and water balloons awaited them. 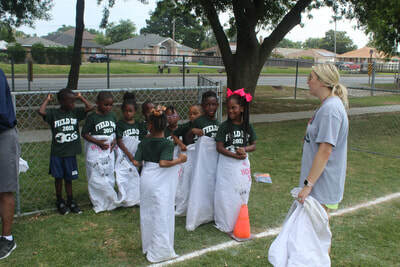 The day began with a 10 game rotation of games like ping pong relay, over/under, potato sack races, and many more. 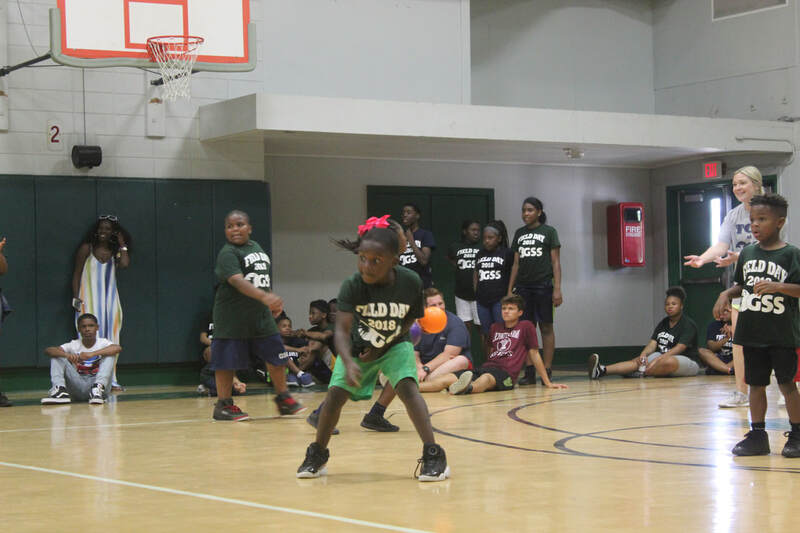 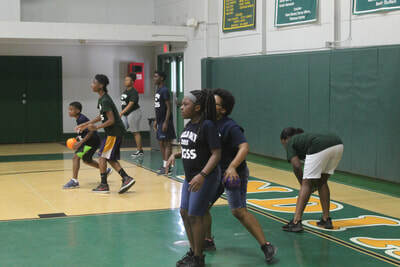 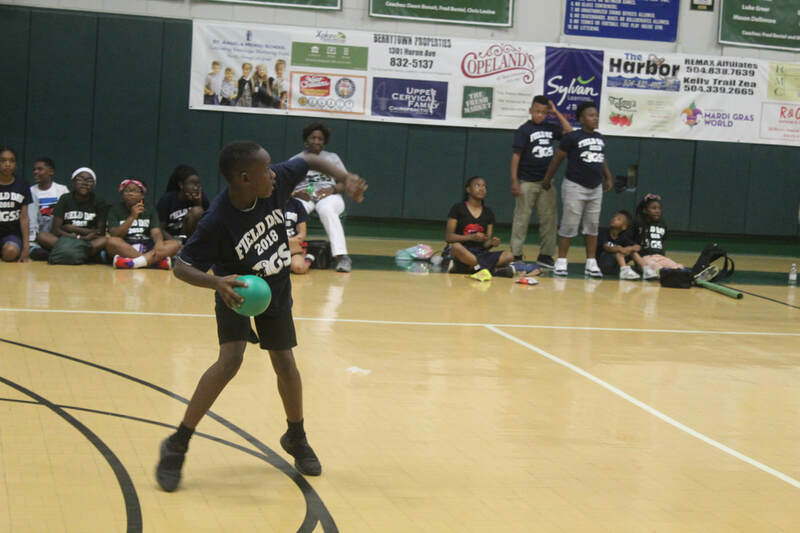 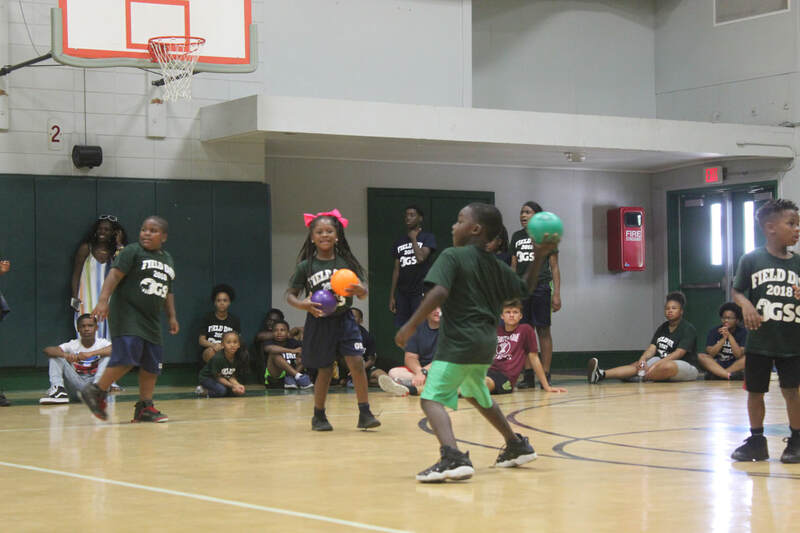 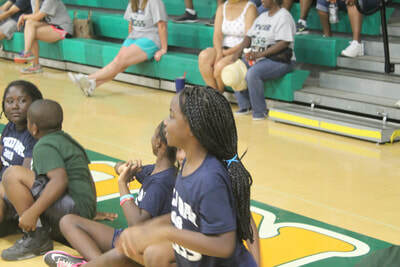 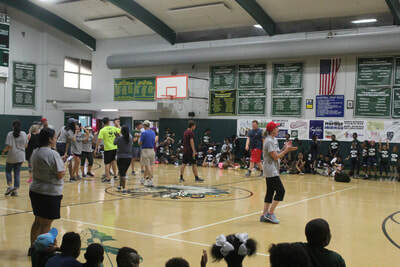 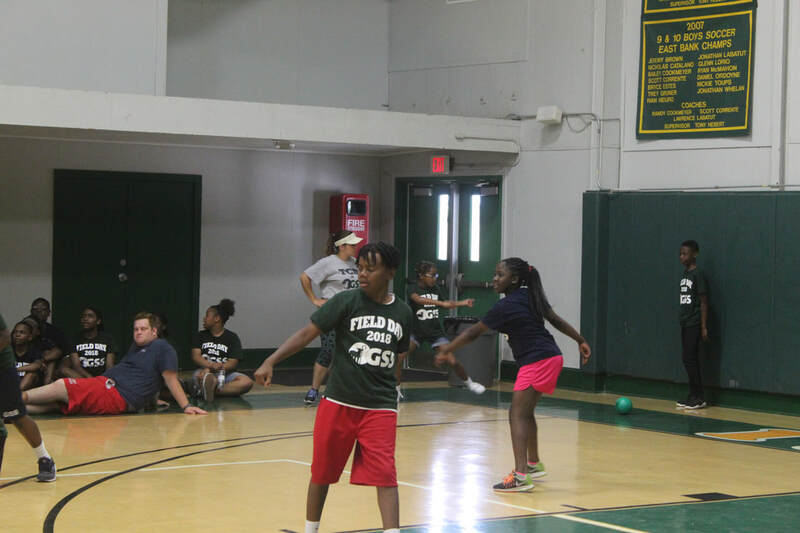 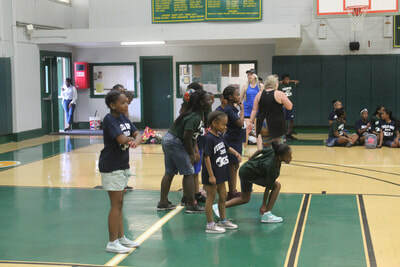 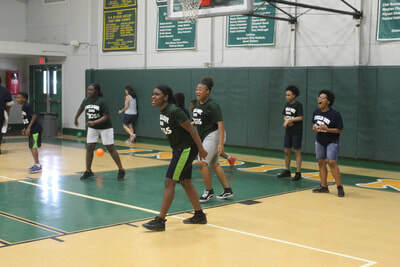 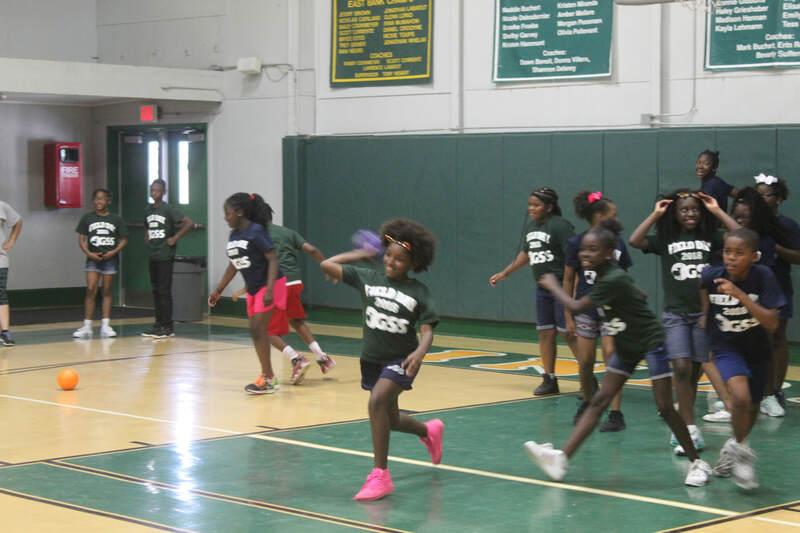 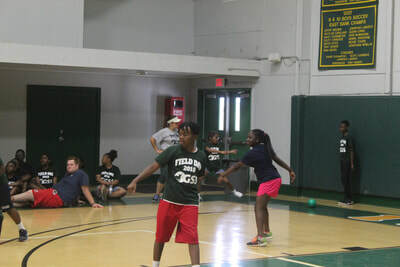 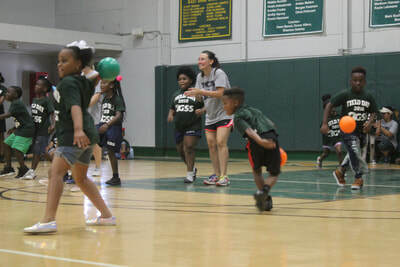 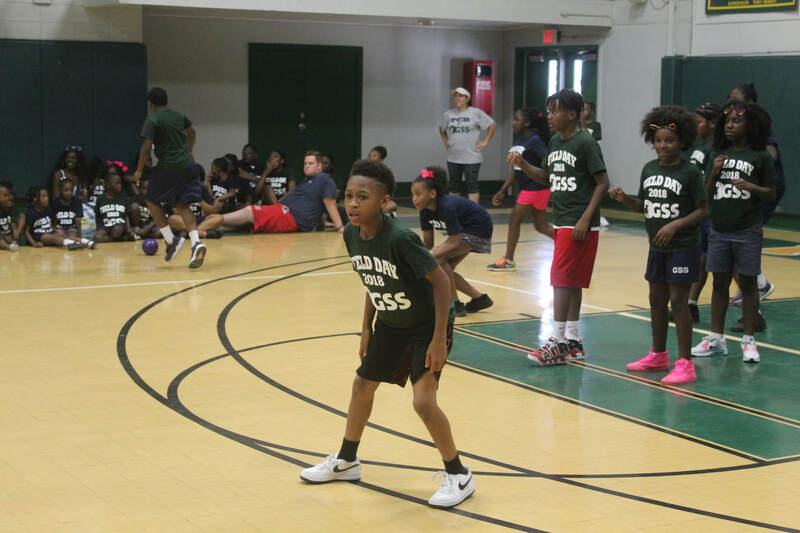 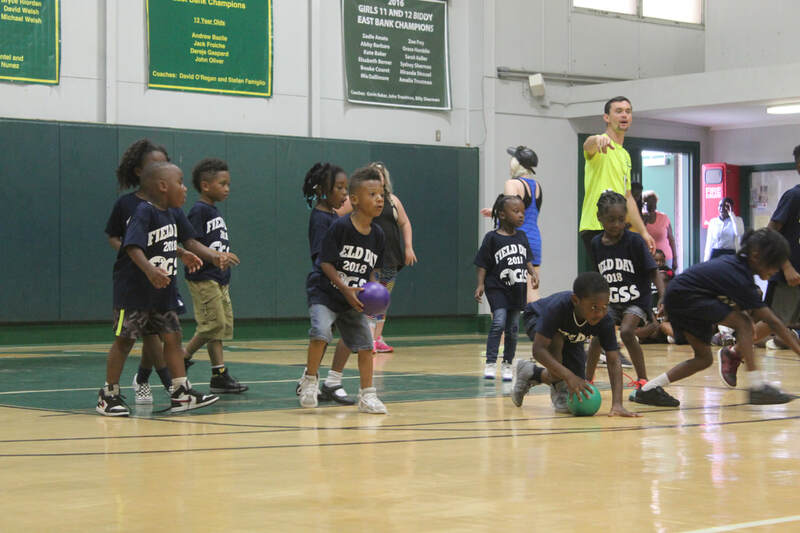 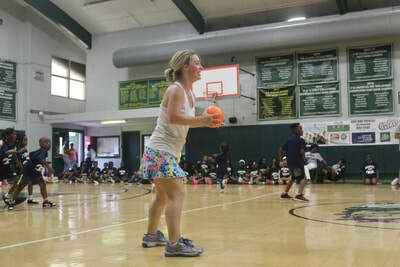 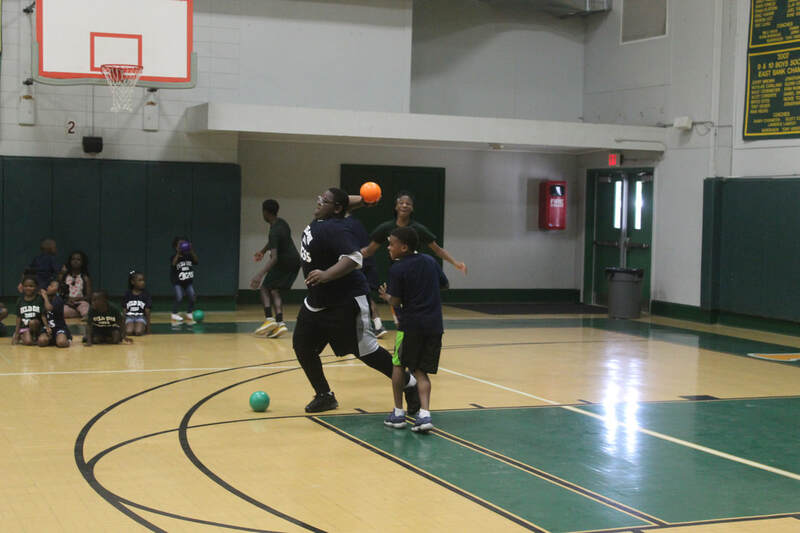 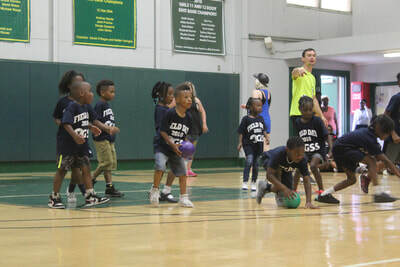 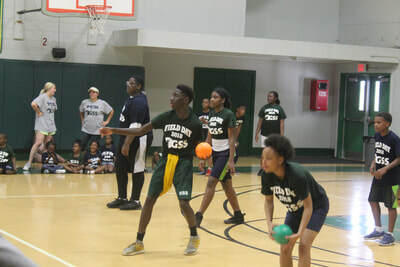 After the game rotation, students rested and cooled down in the gym with lunch. 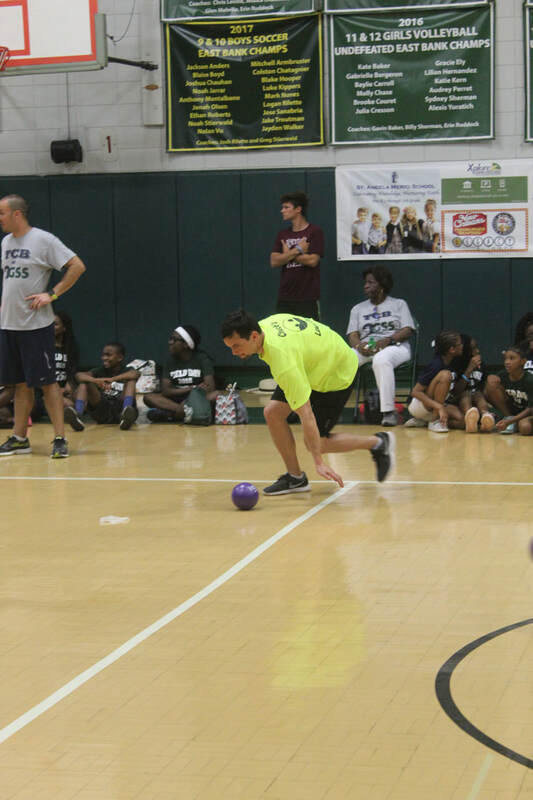 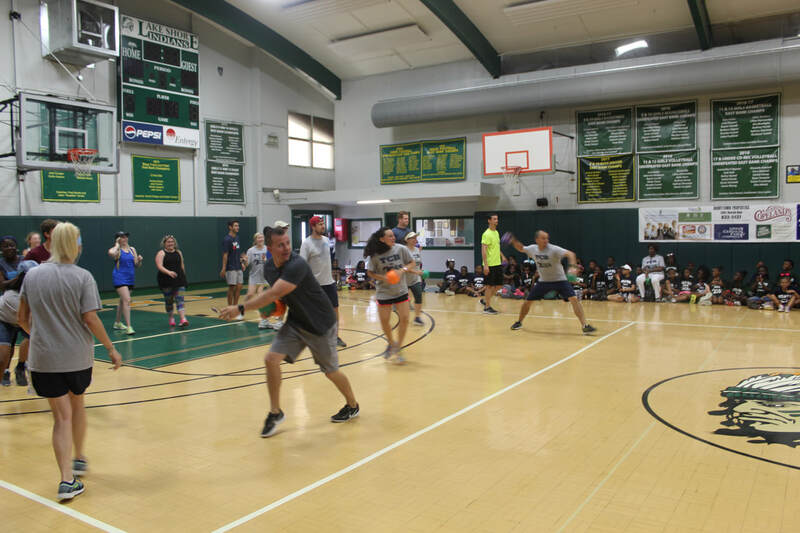 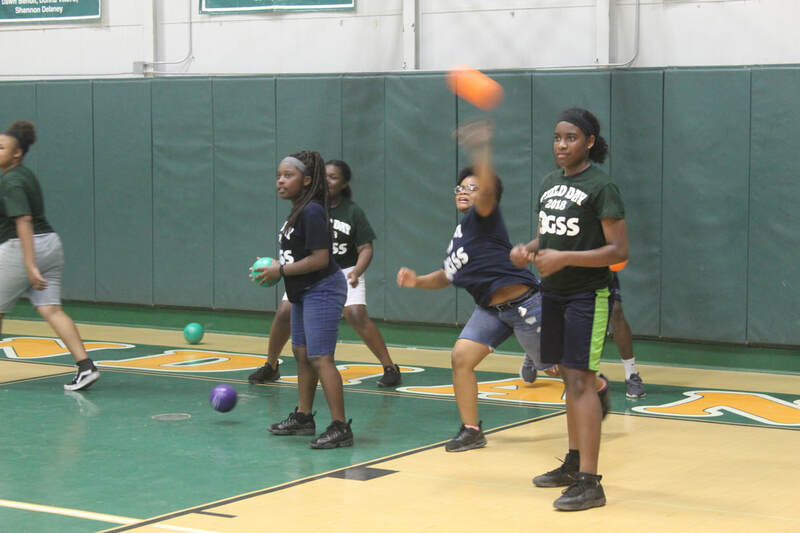 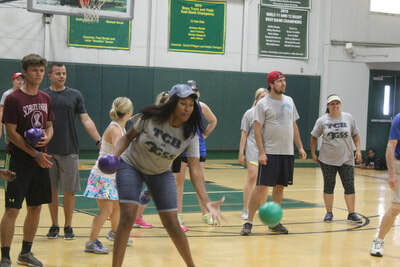 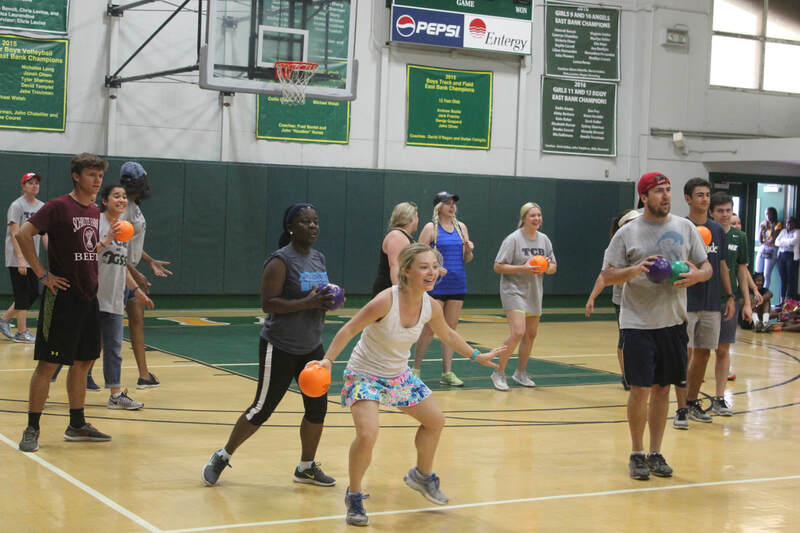 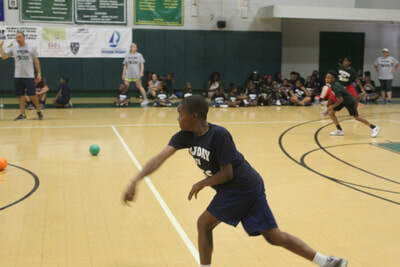 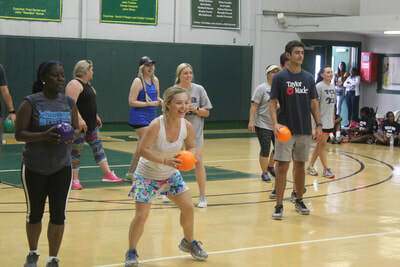 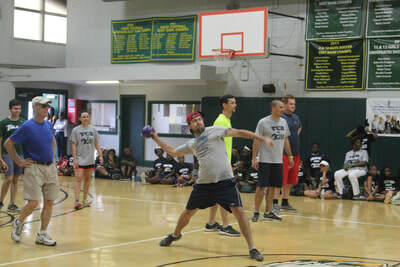 After lunch, dodgeball began with faculty vs 7th grade and other competitions. 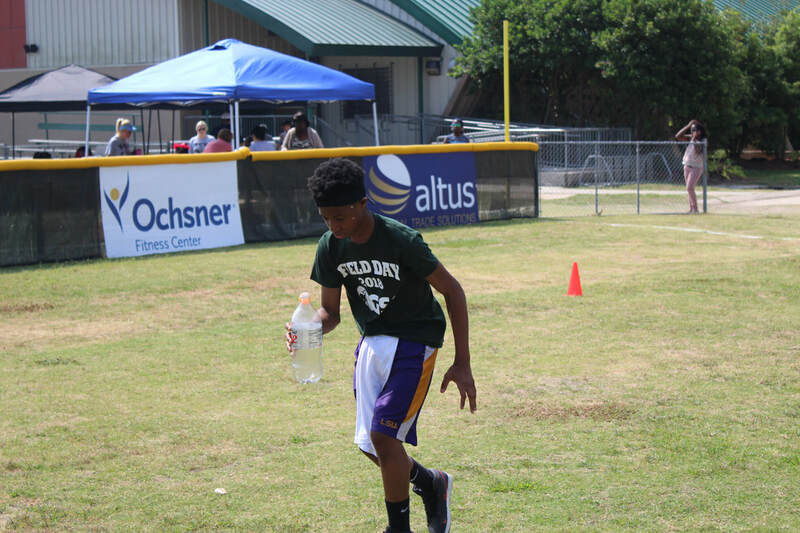 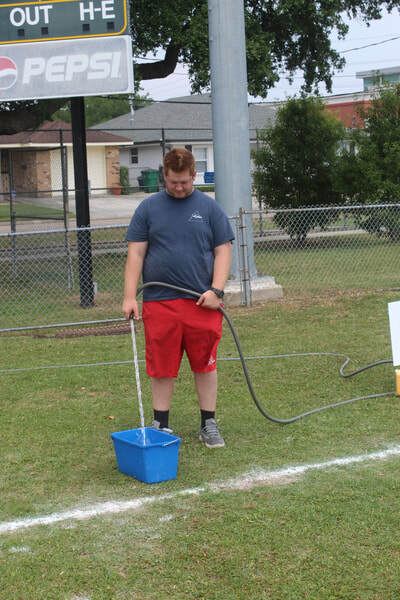 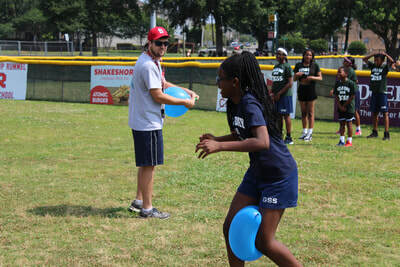 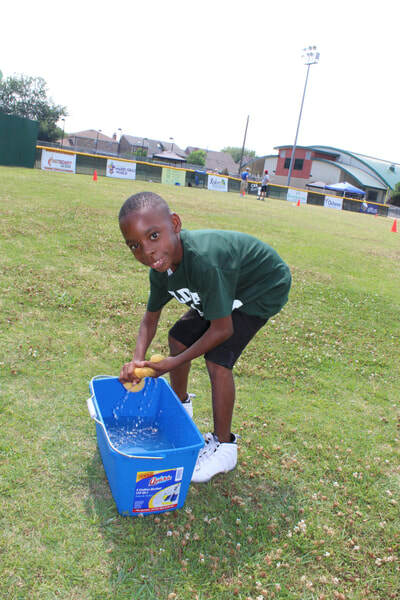 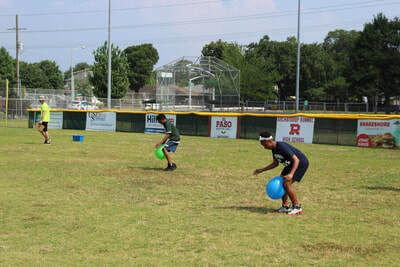 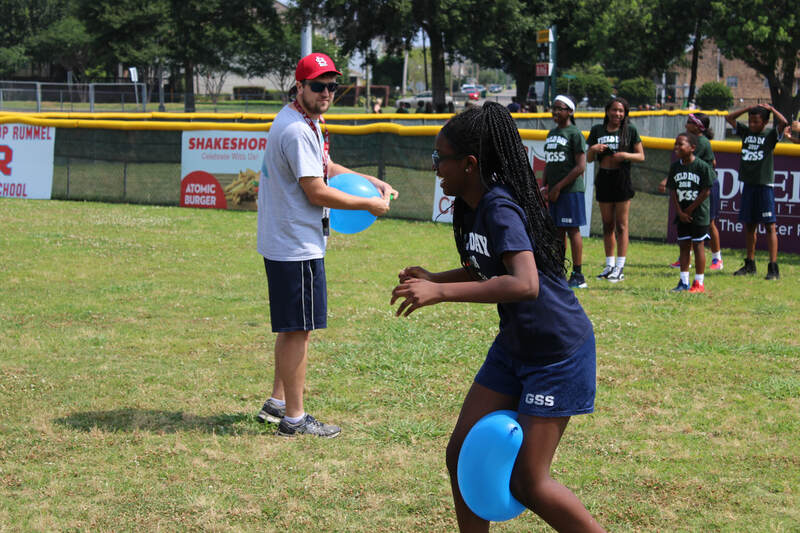 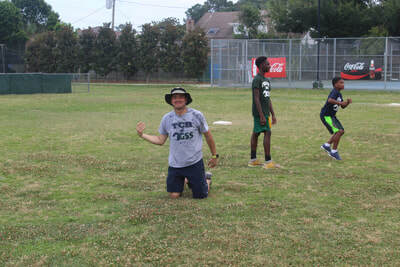 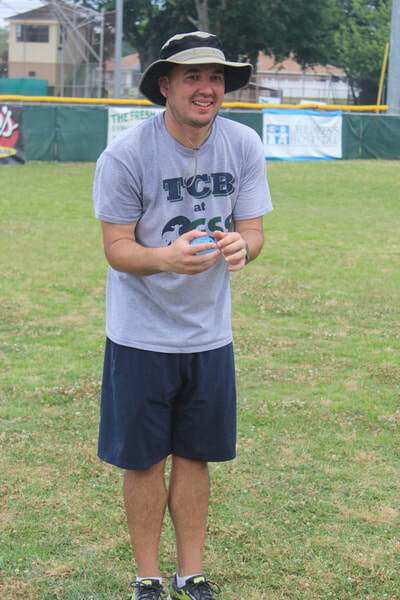 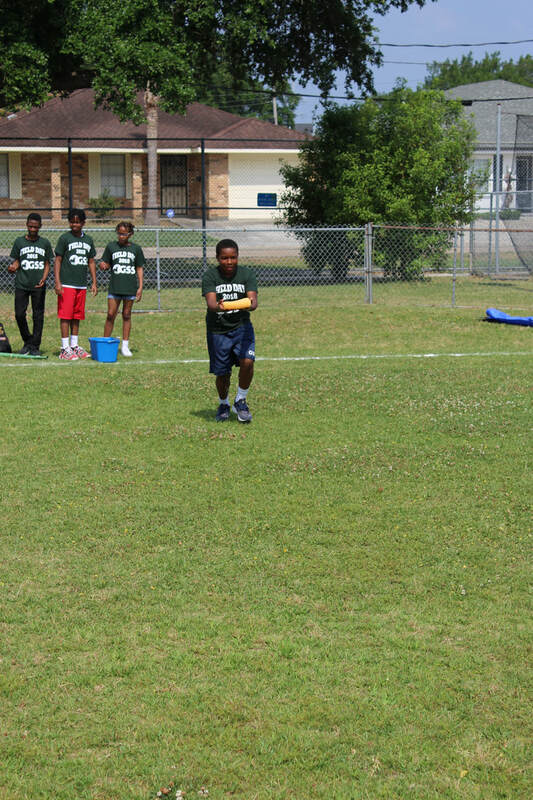 At the end of the day, everyone participated in water balloon toss competition. 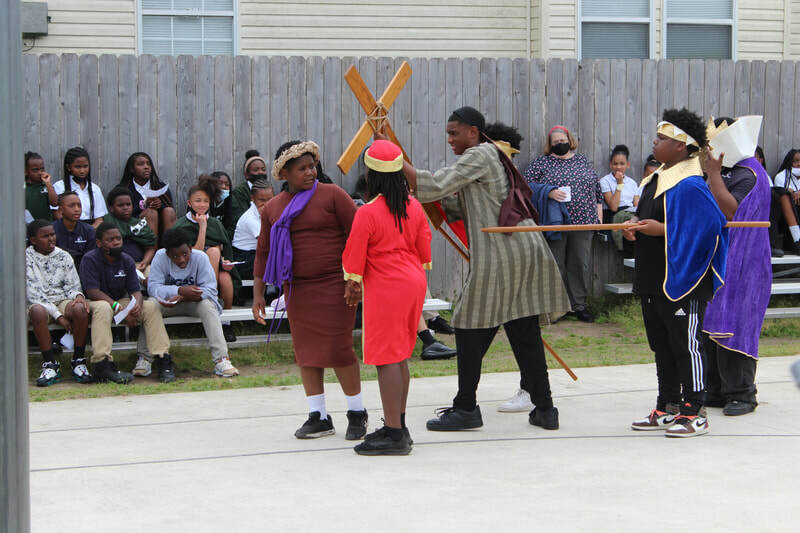 Students returned to GSS after a day of fun in the sun. 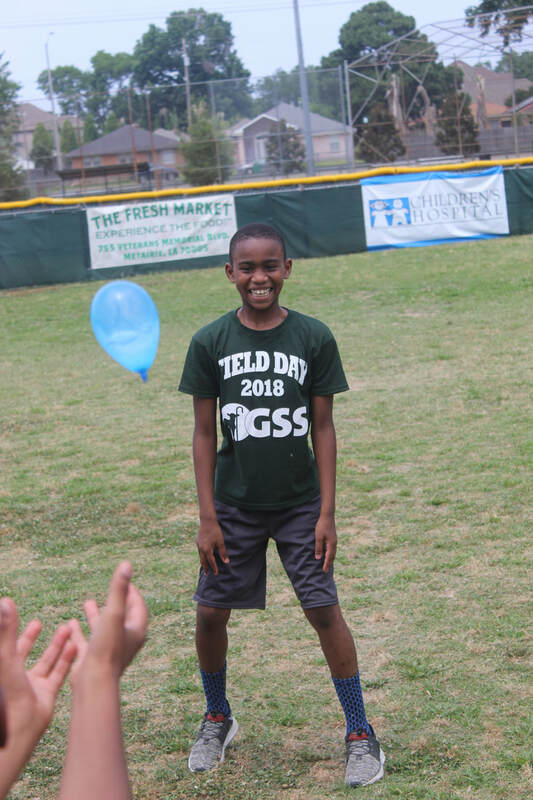 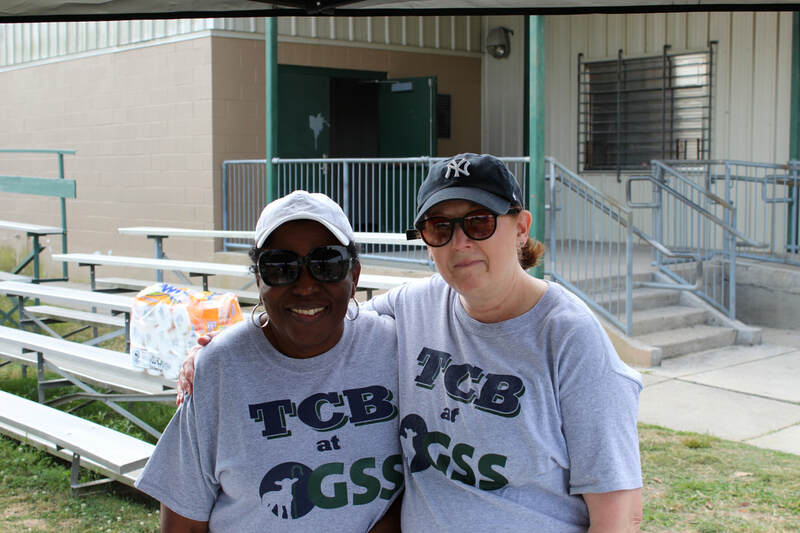 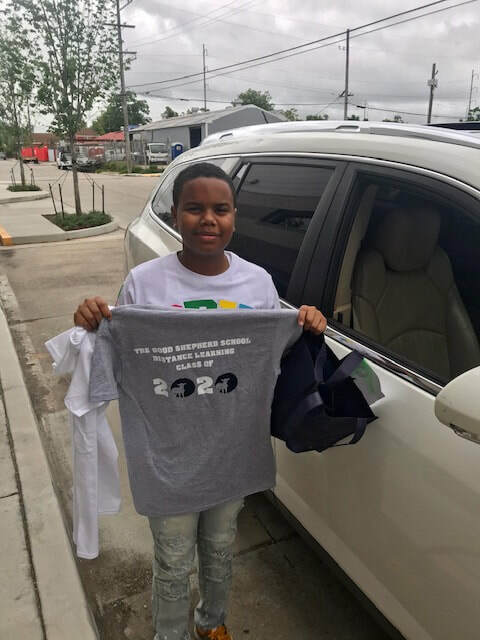 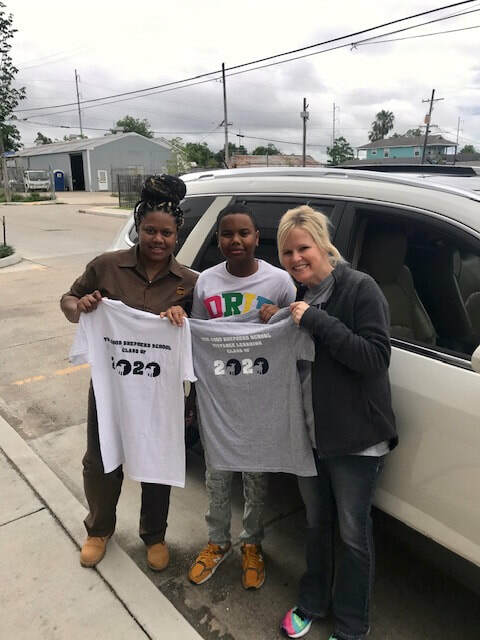 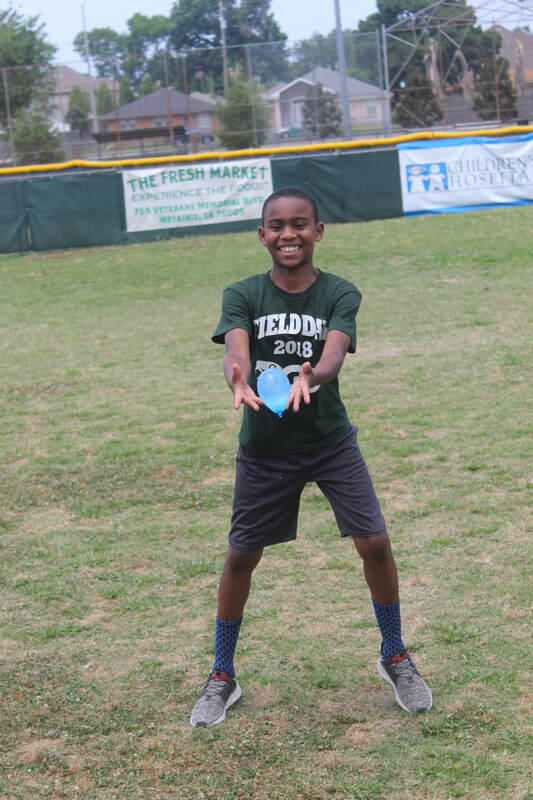 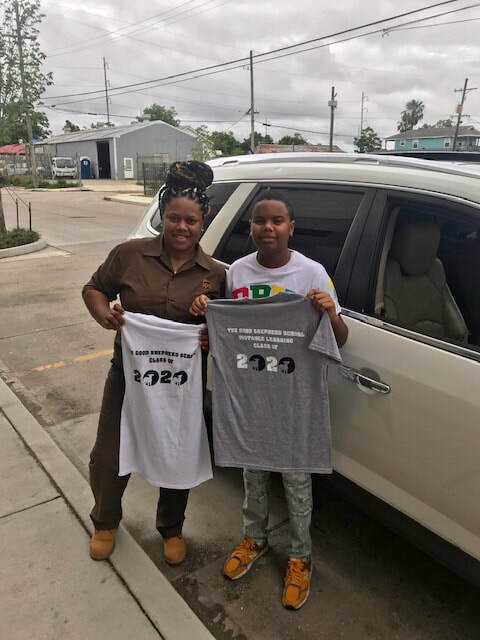 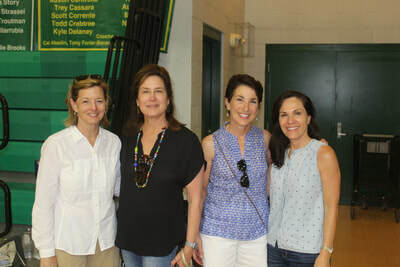 A special thank you to the GSS Room Mothers who funded the green and blue Field Day 2018 t-shirts that were given to each student. 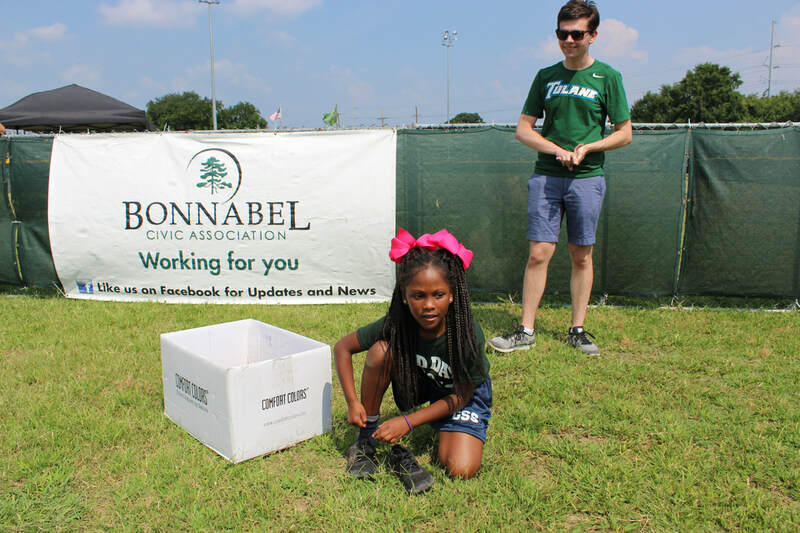 Also a special thank you goes to all of the organizers, teachers, and volunteers who contributed or participated in the success of Field Day 2018.